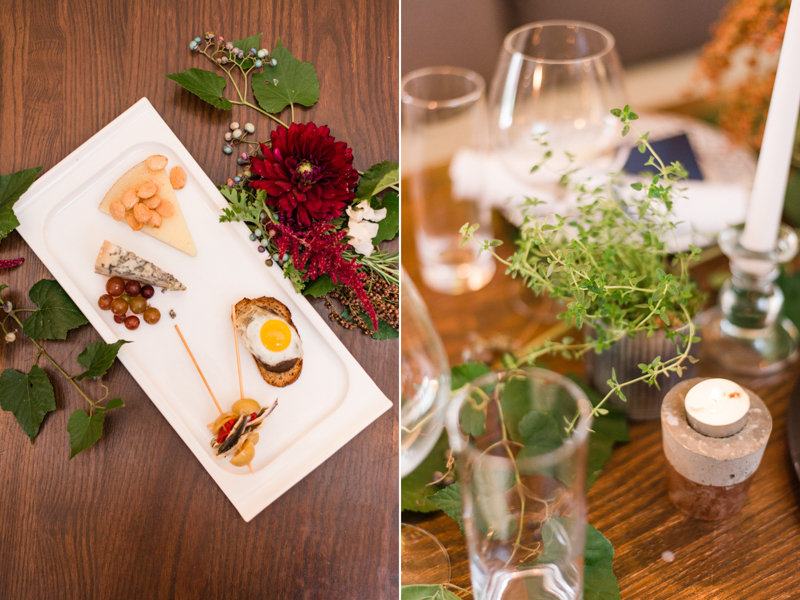 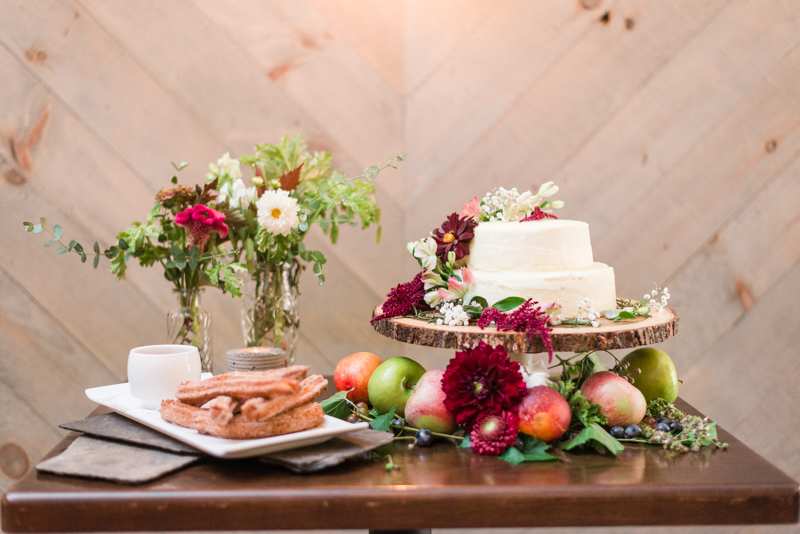 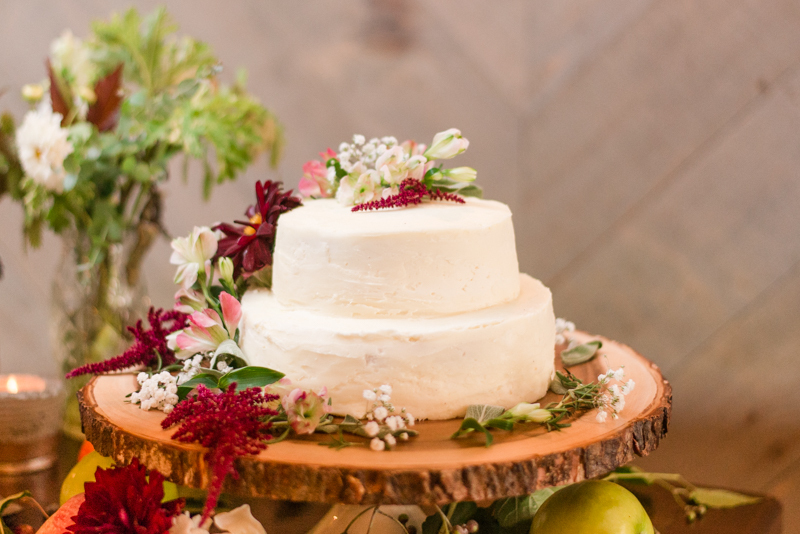 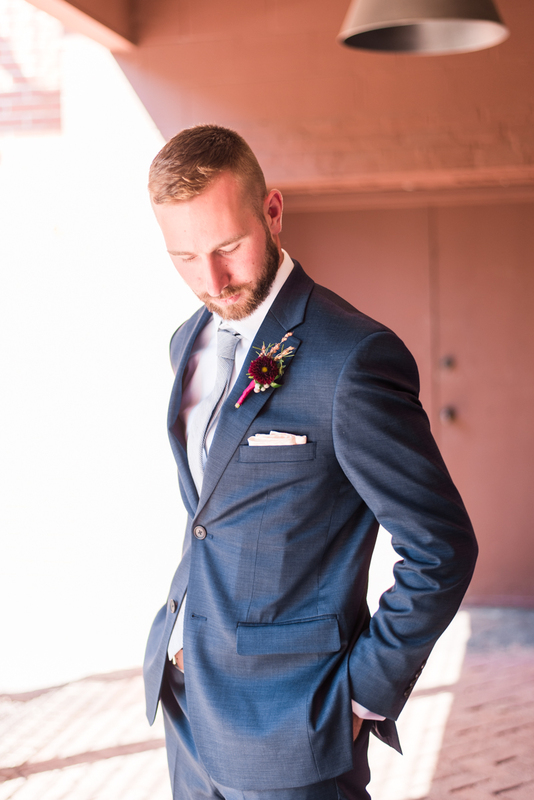 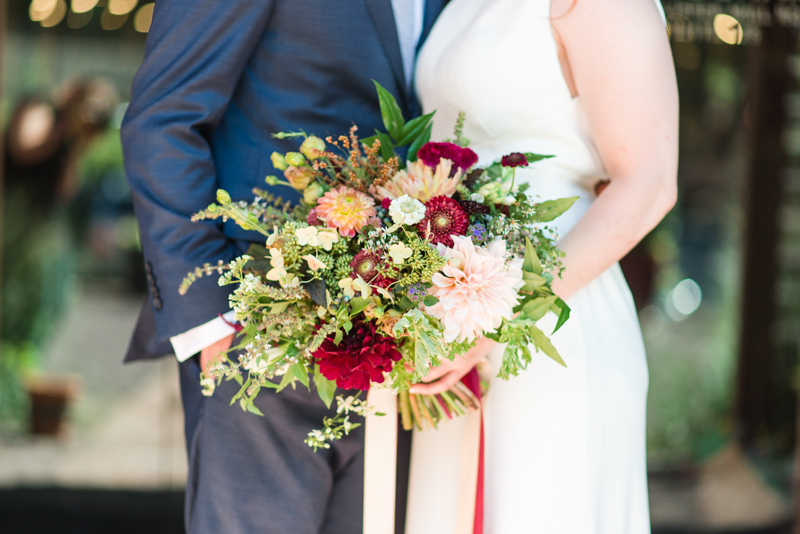 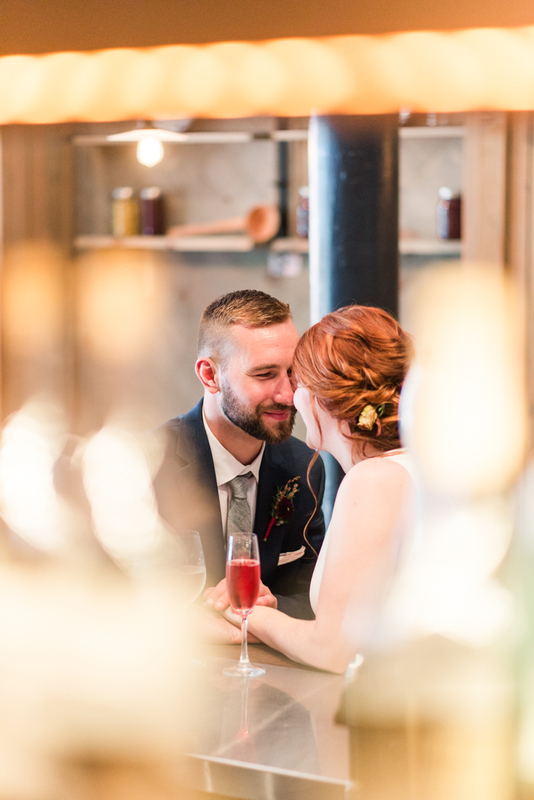 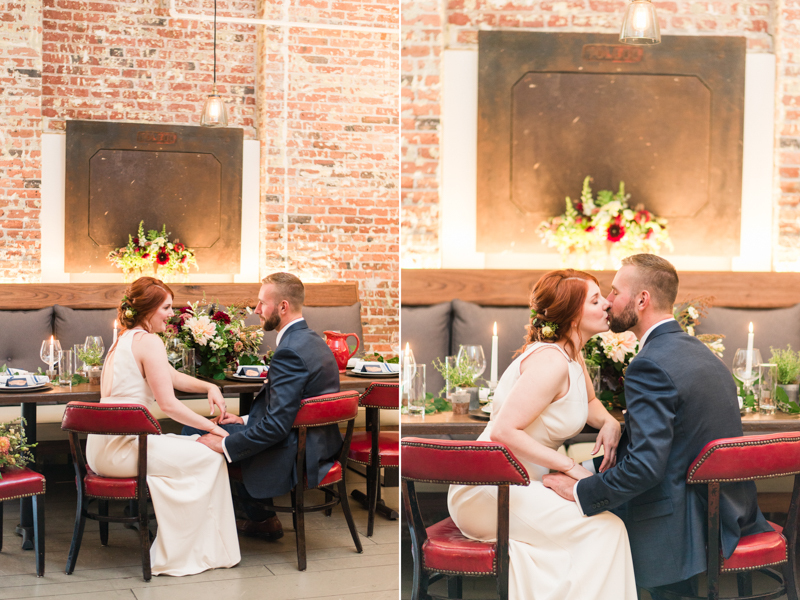 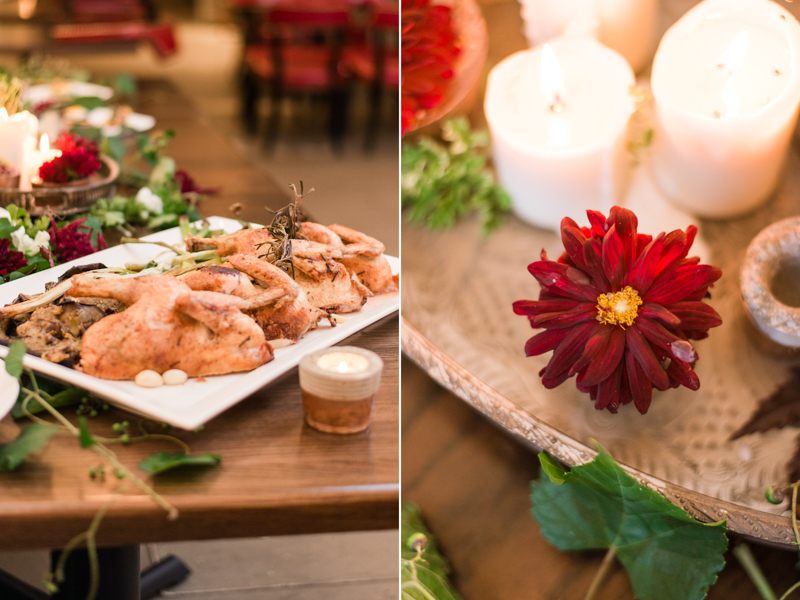 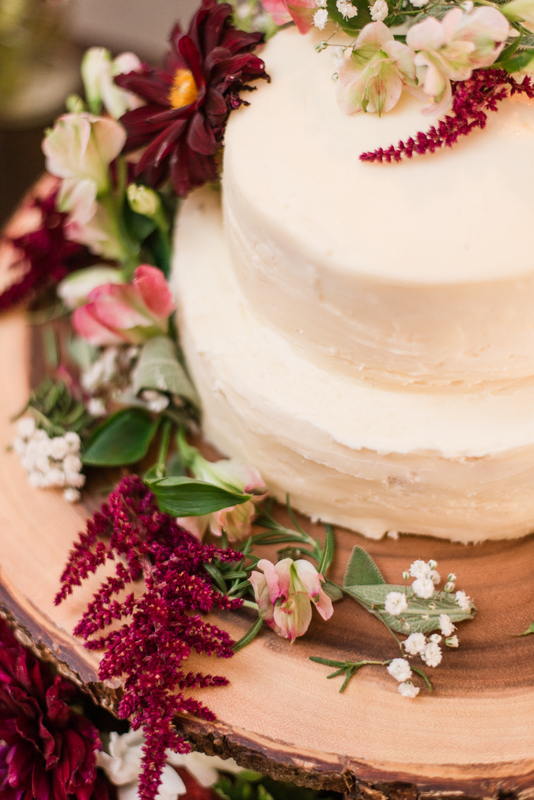 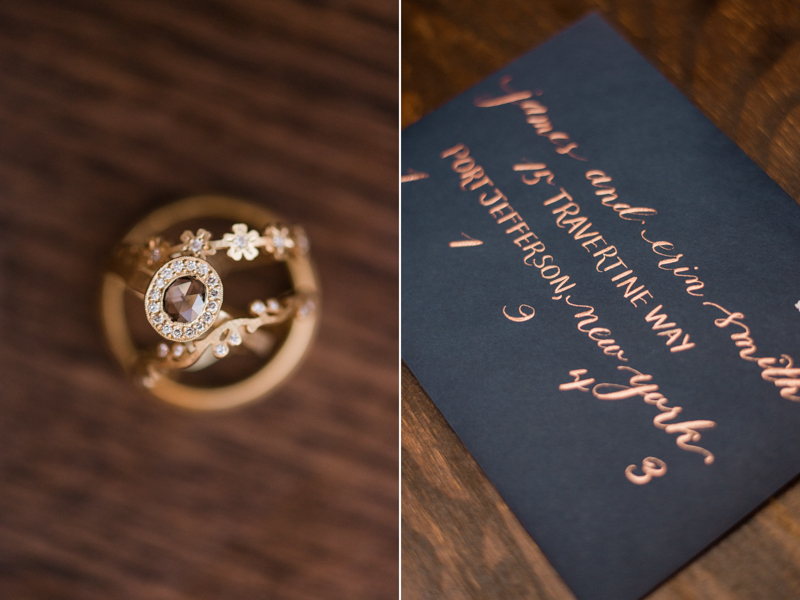 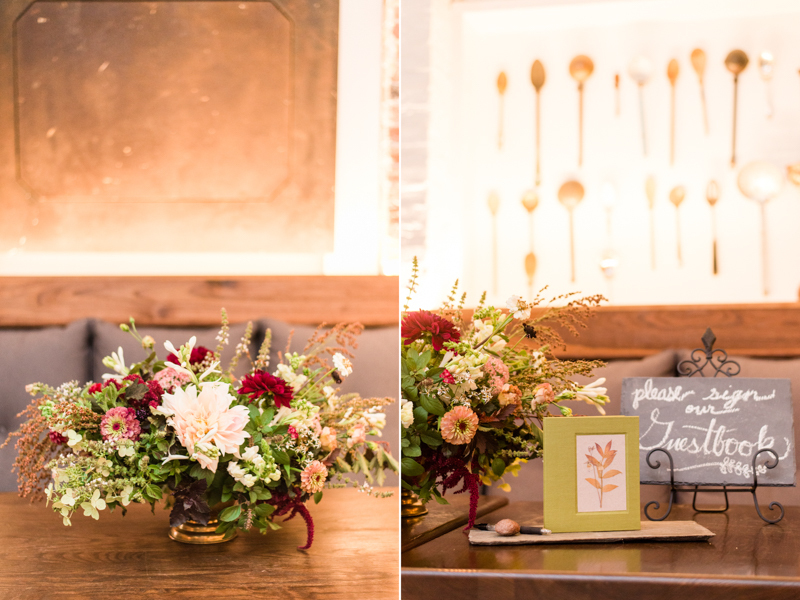 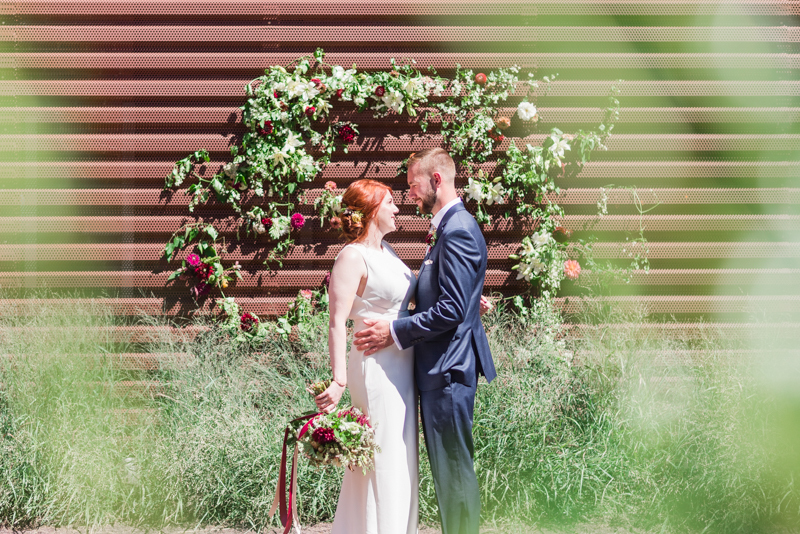 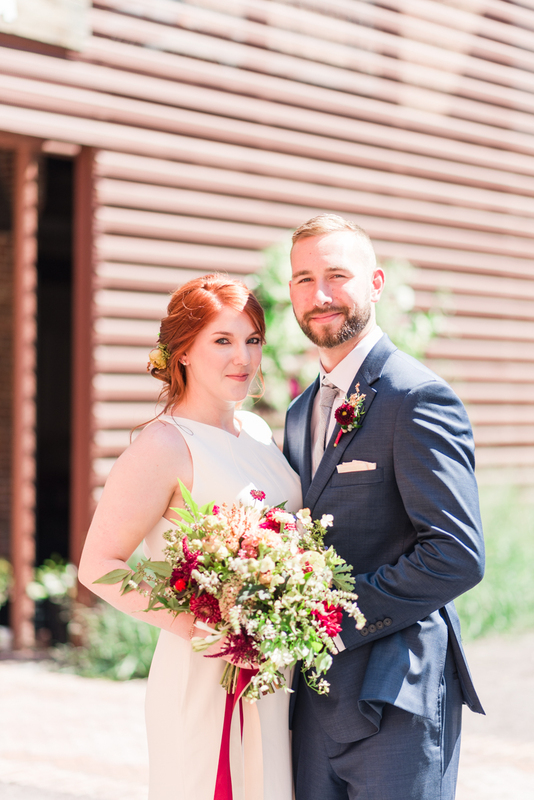 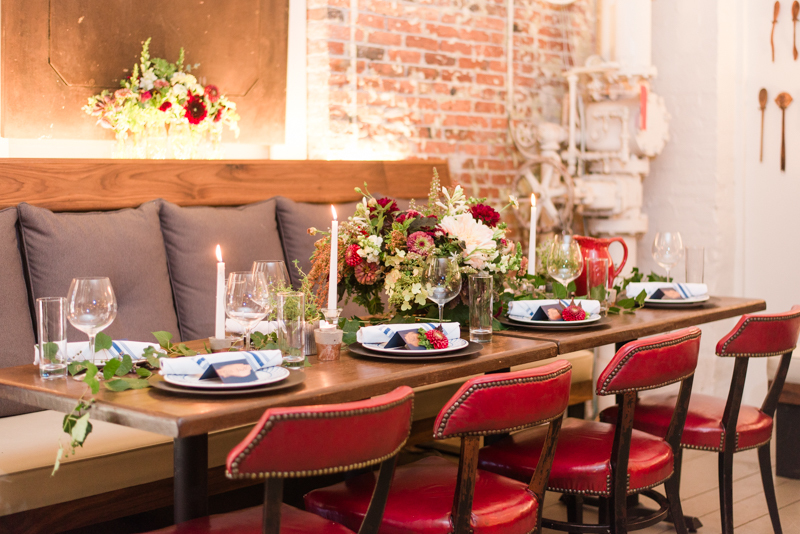 Our locally grown styled shoot is one that I have been waiting to share since September! 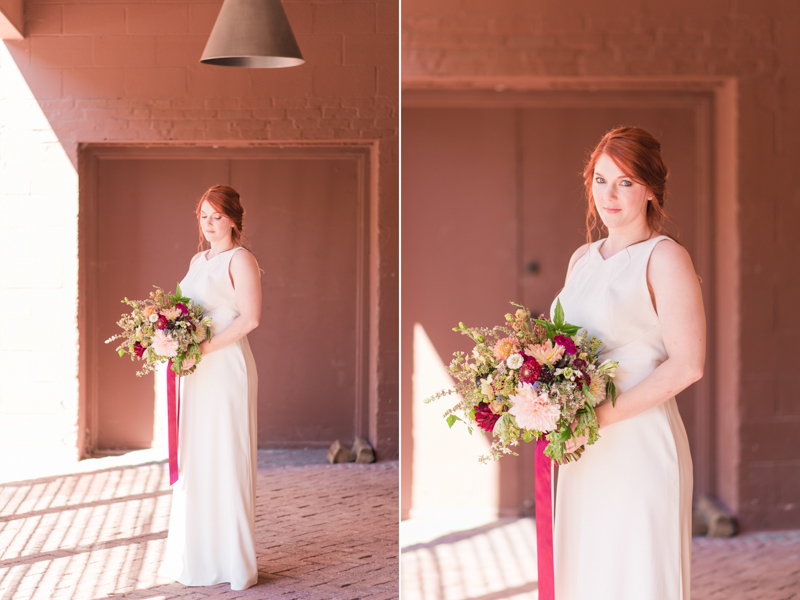 Not only is it low-key and intimately sweet, but it is also jaw-droppingly gorgeous. 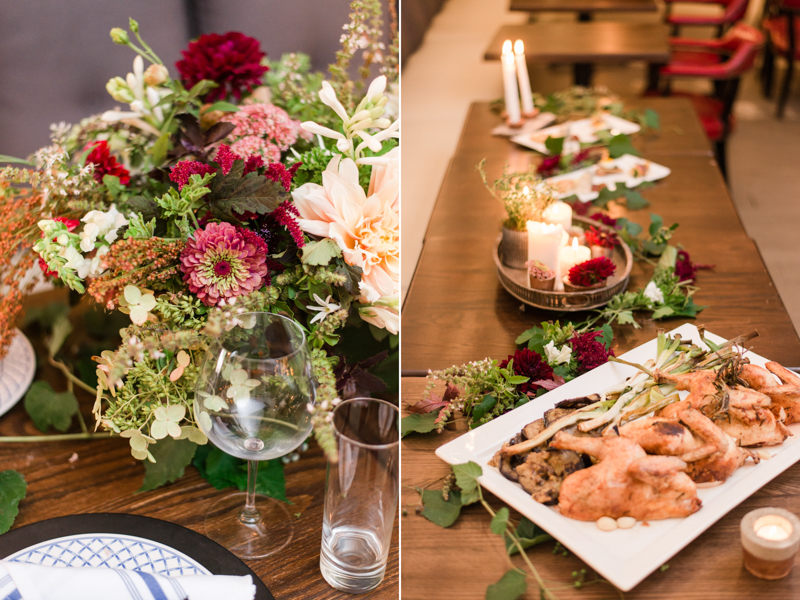 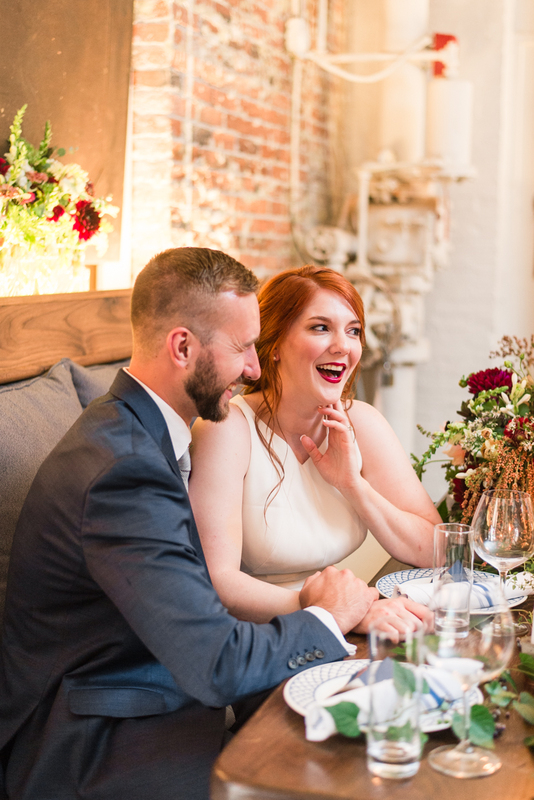 Much like the previous styled shoot Marlayna and I did, the vendors that we worked with completely knocked it out of the park. 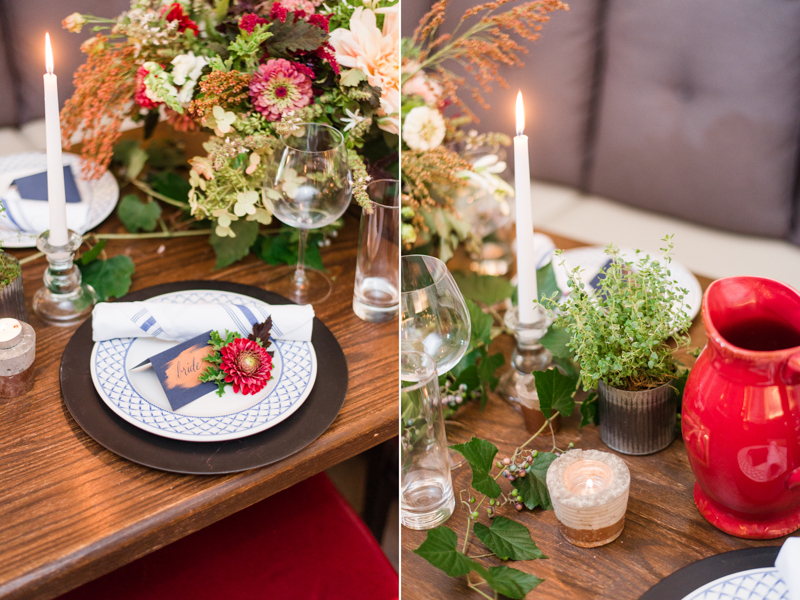 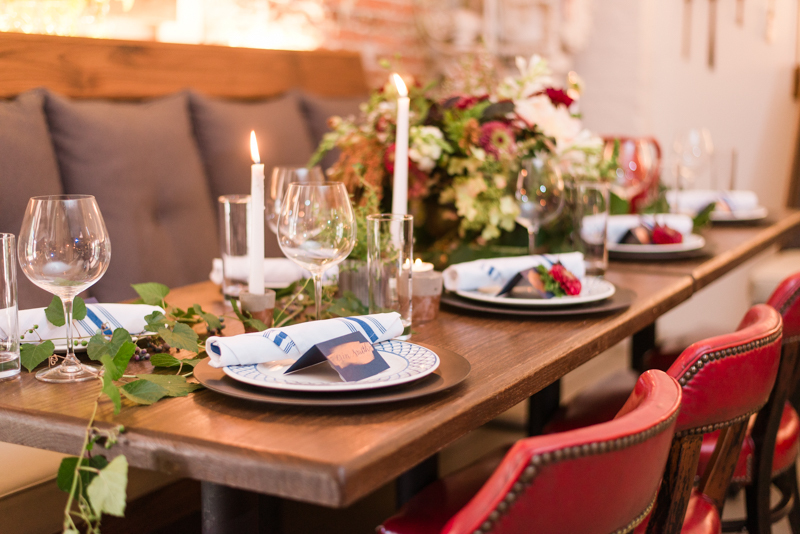 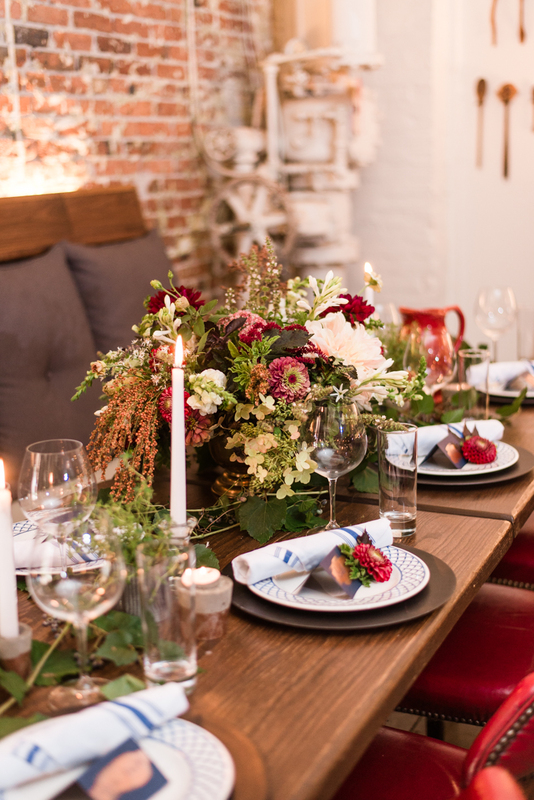 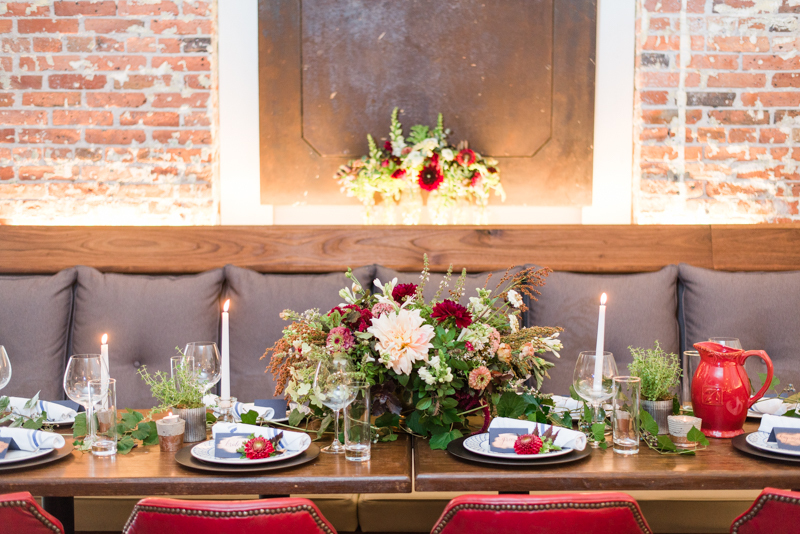 From the table florals to our bride's make-up, it is all stunning. 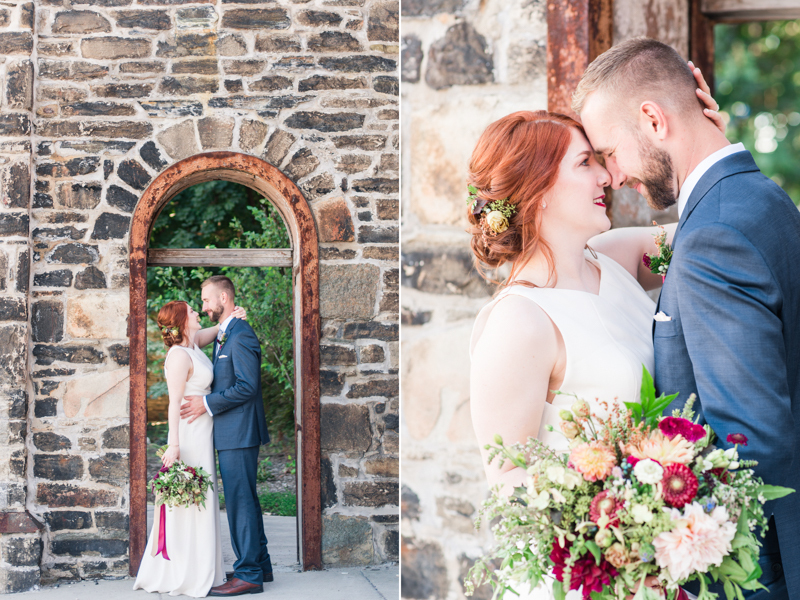 Everyone worked so hard to make this shoot feel like a beautiful dream. 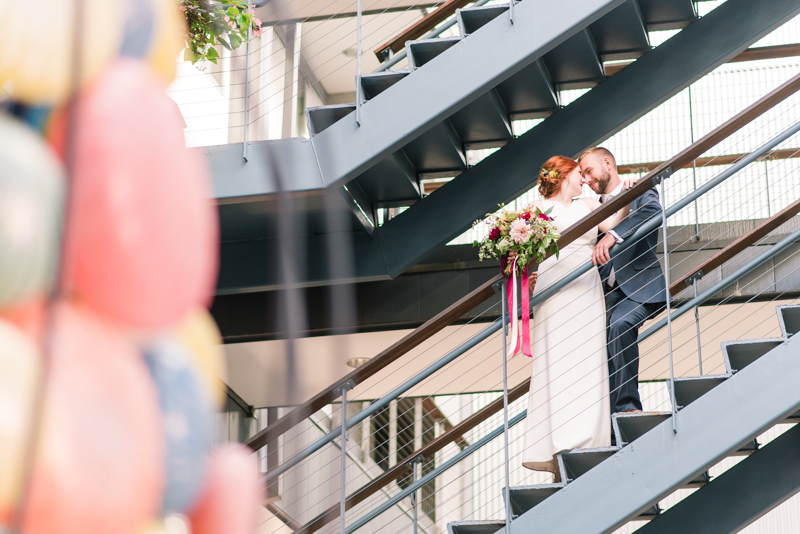 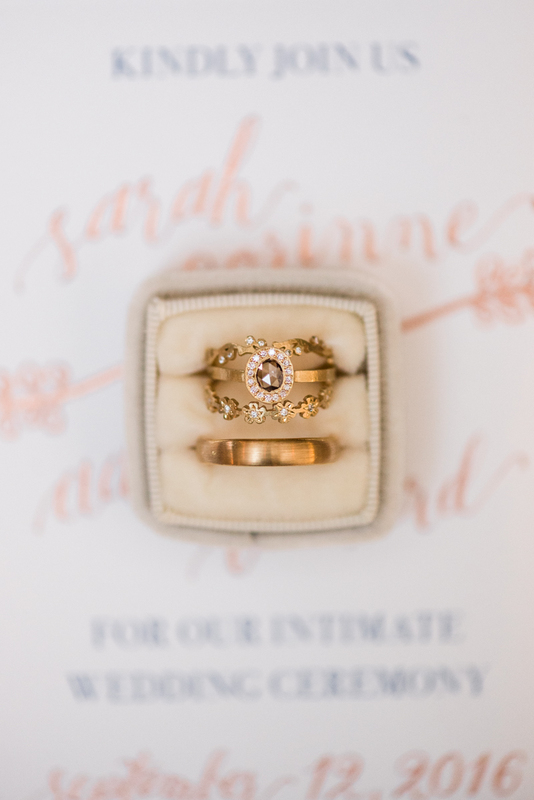 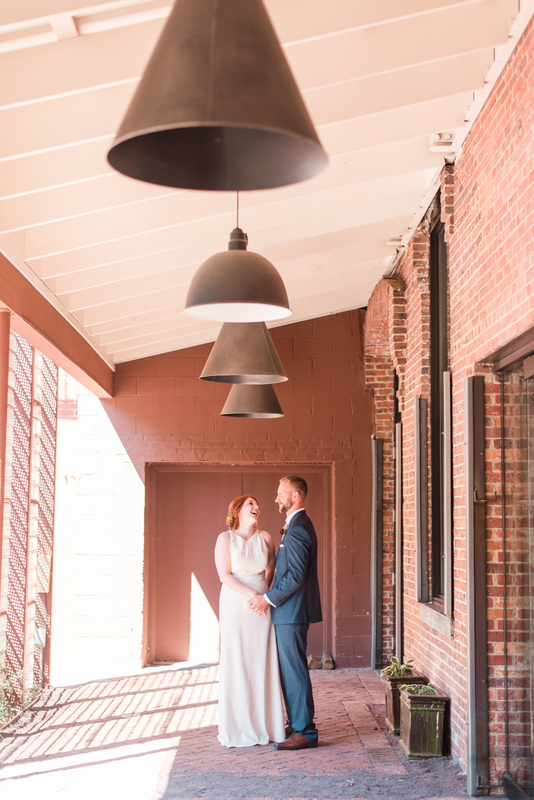 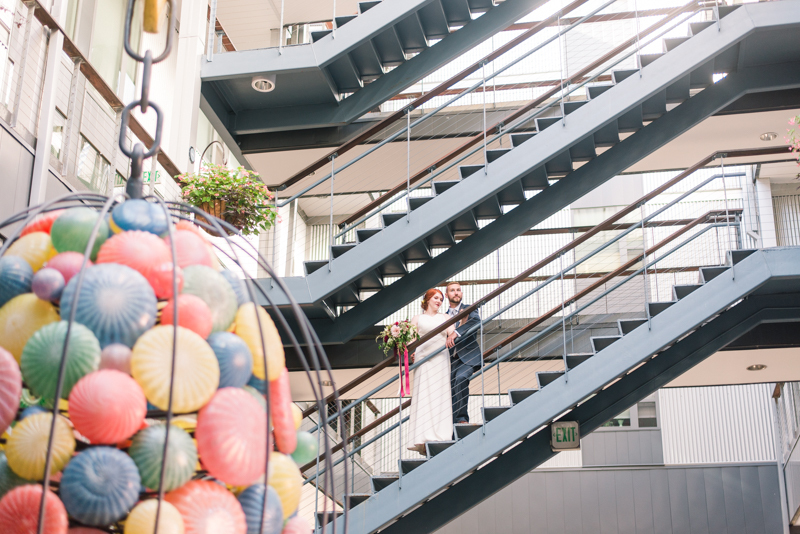 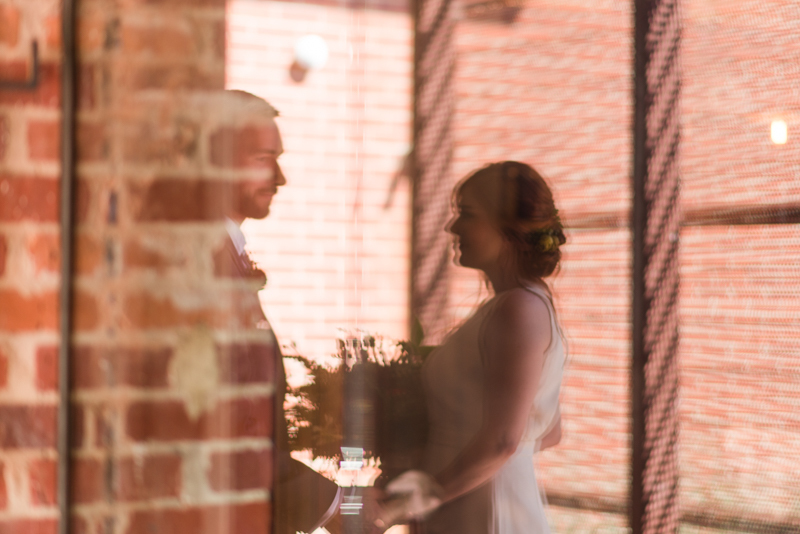 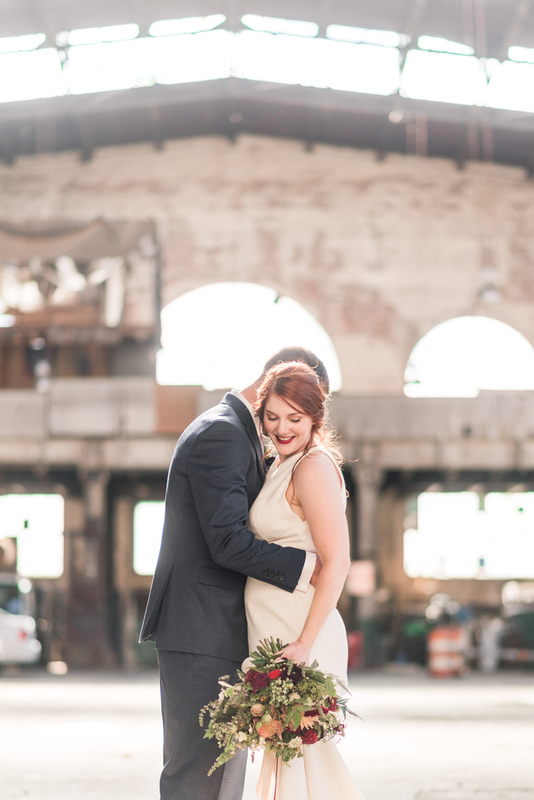 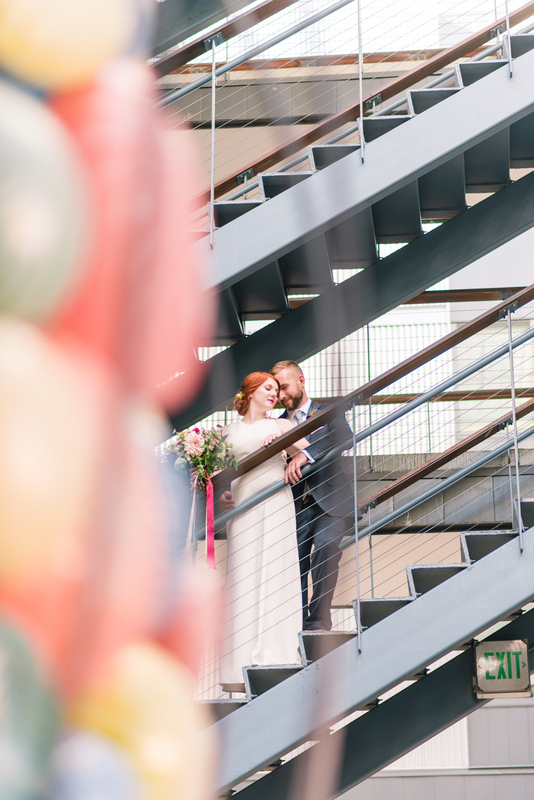 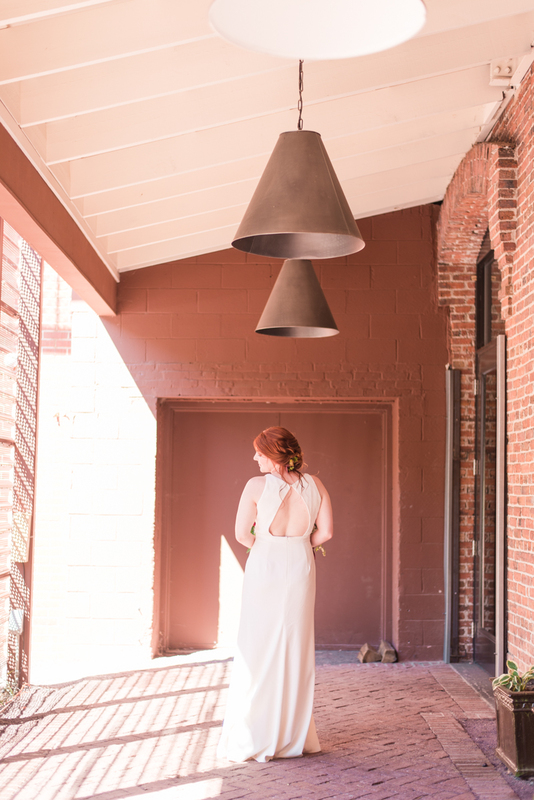 It has totally paid off with our Baltimore Bride feature. 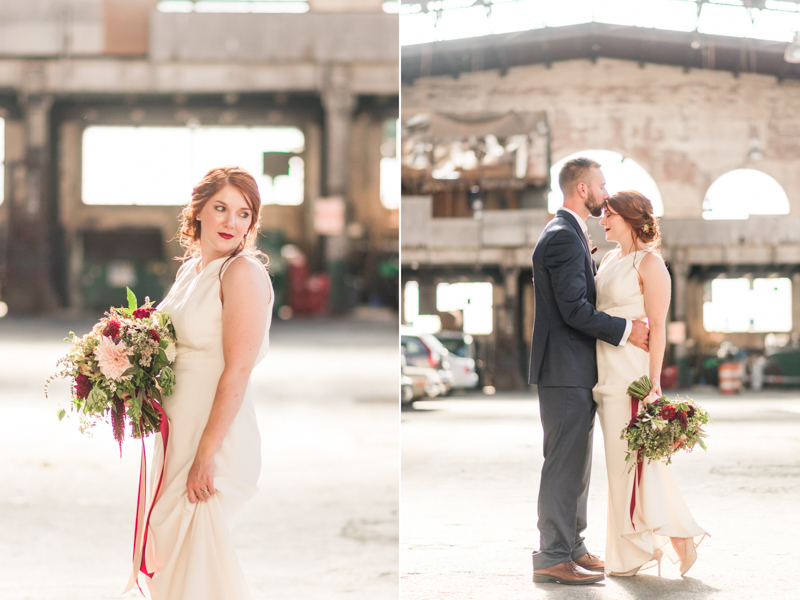 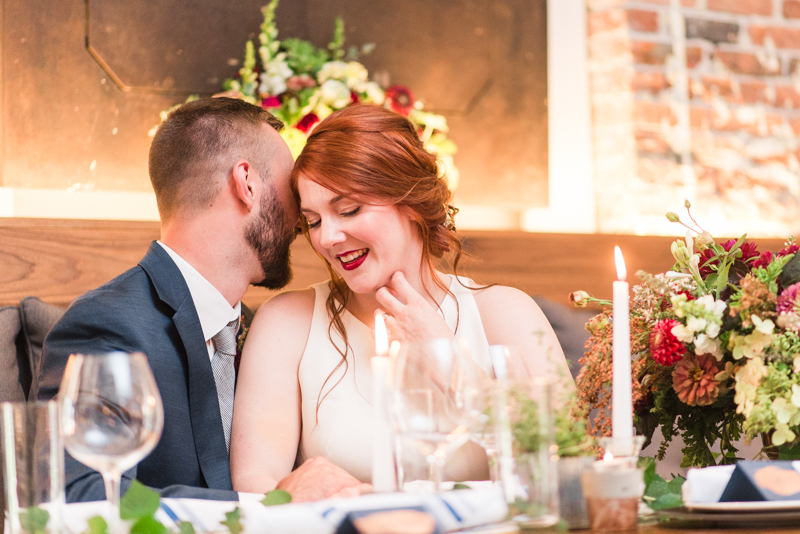 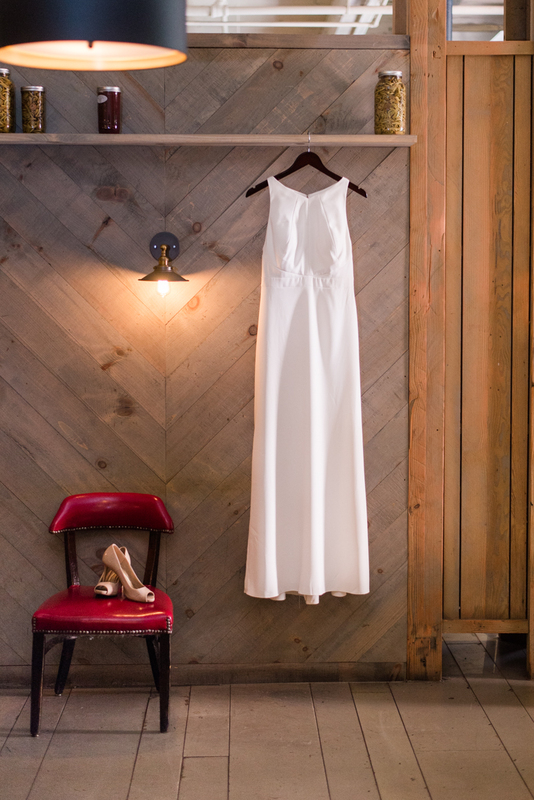 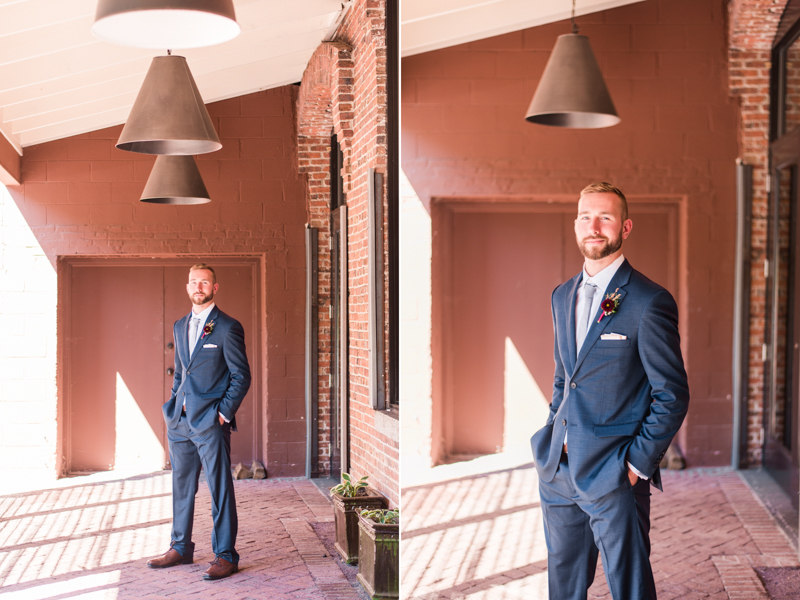 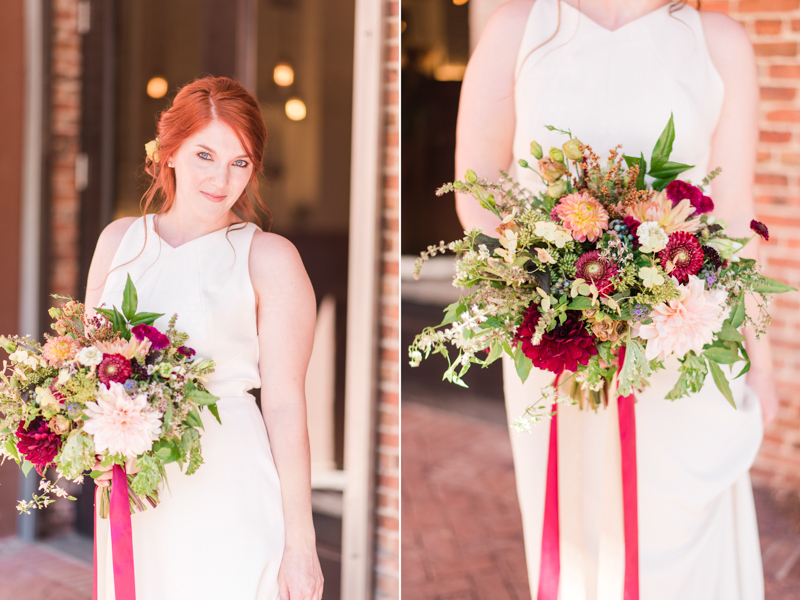 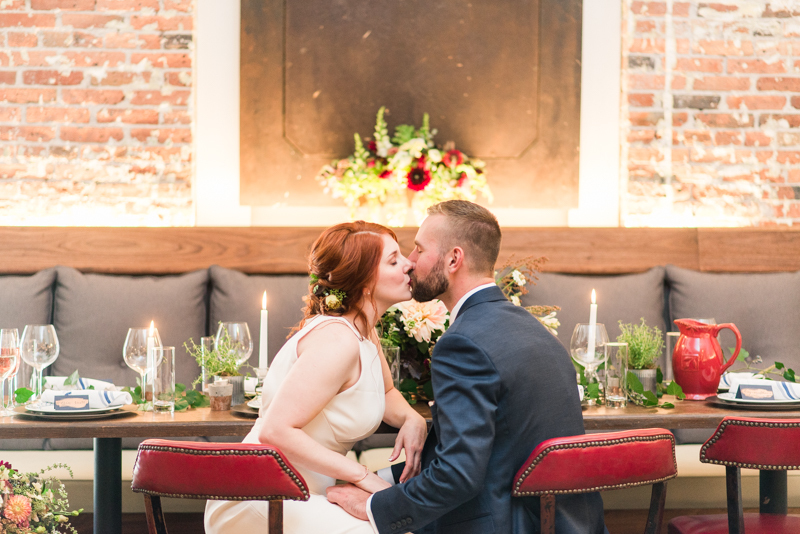 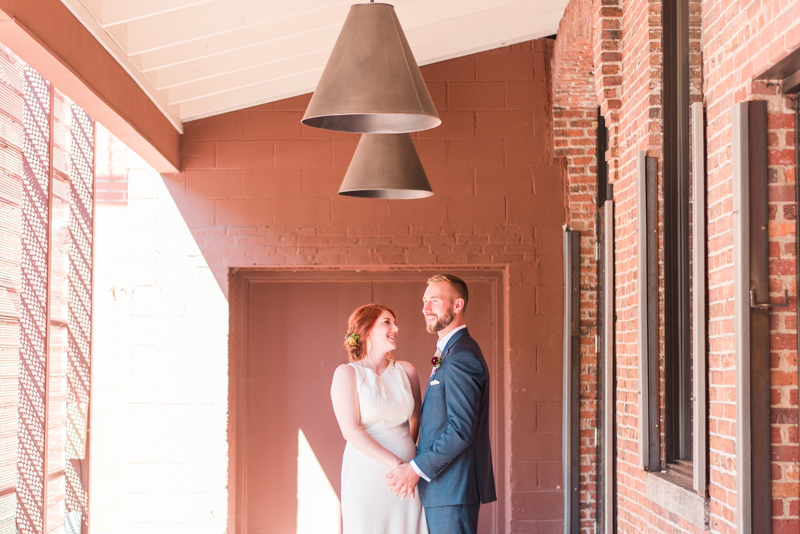 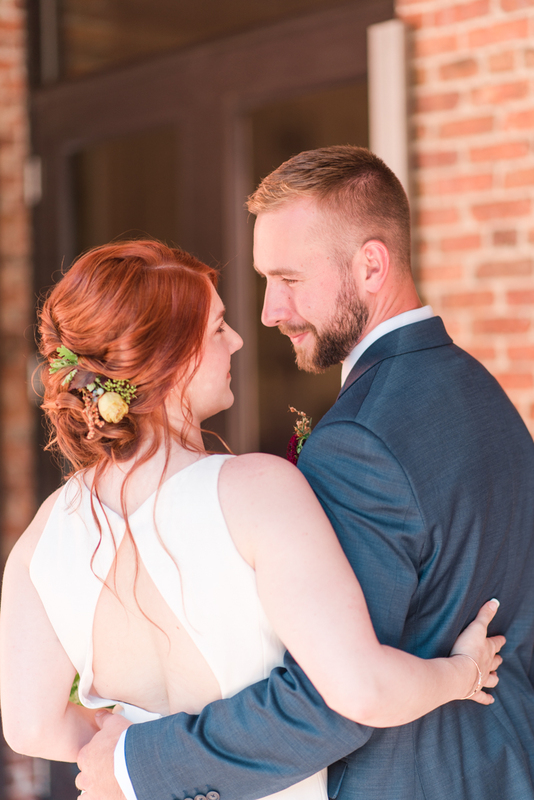 Check out our Locally Grown feature on Baltimore Bride! 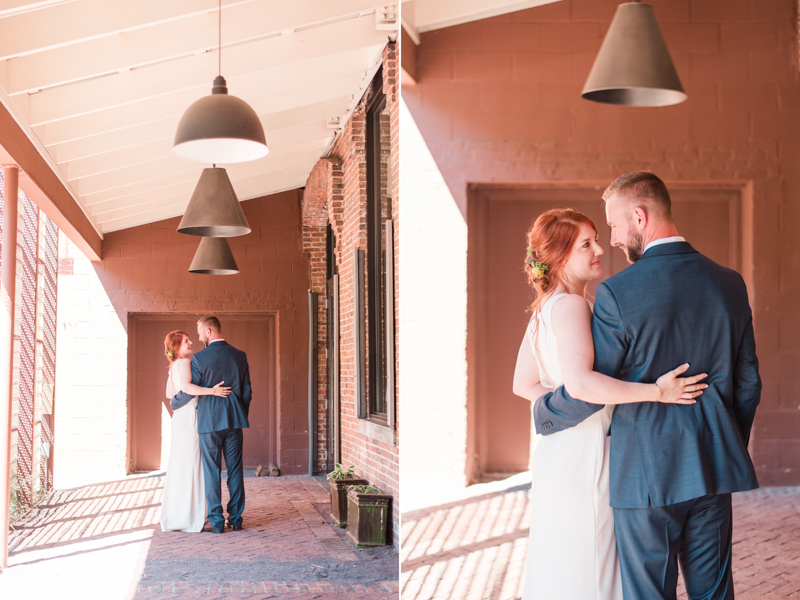 My favorite part about this shoot has to be that the vendors we used are all from the Baltimore area. 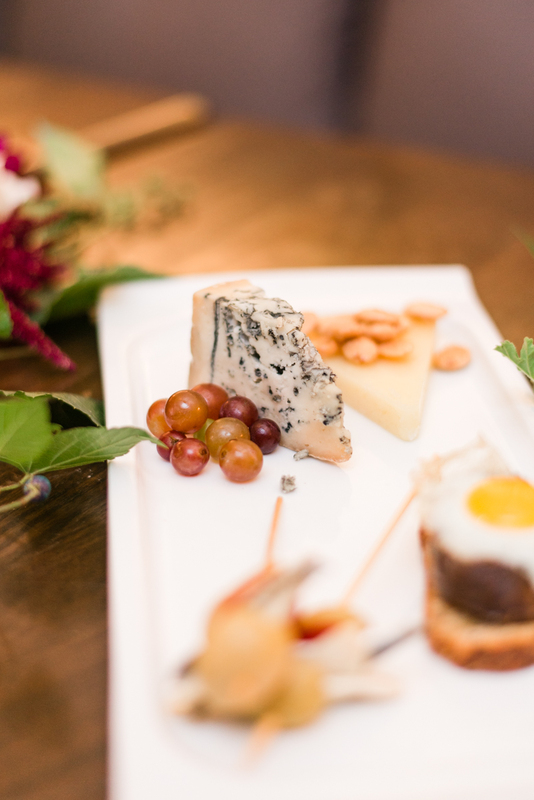 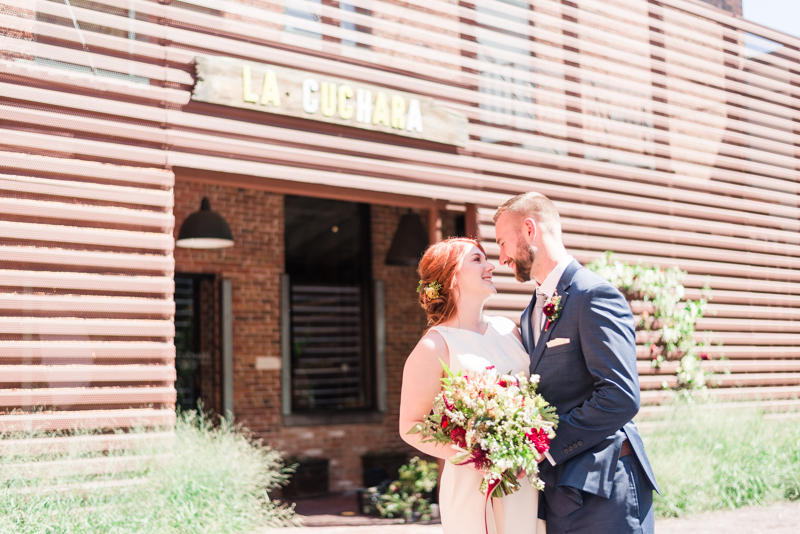 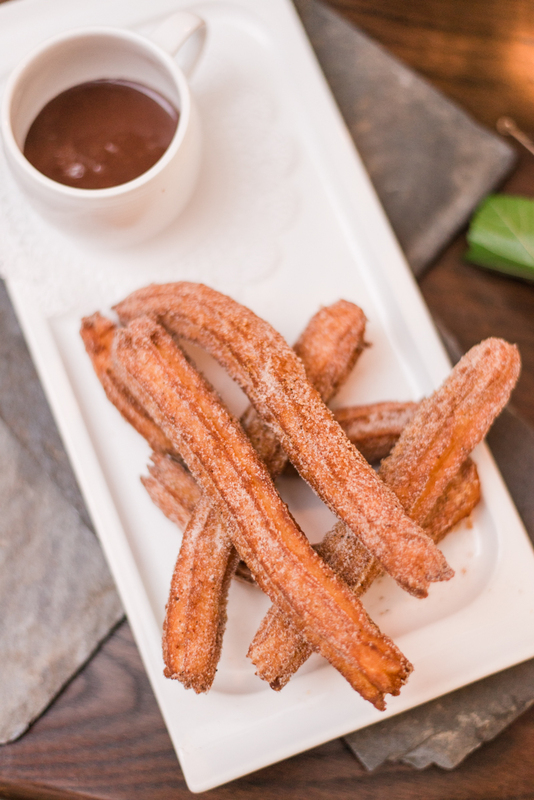 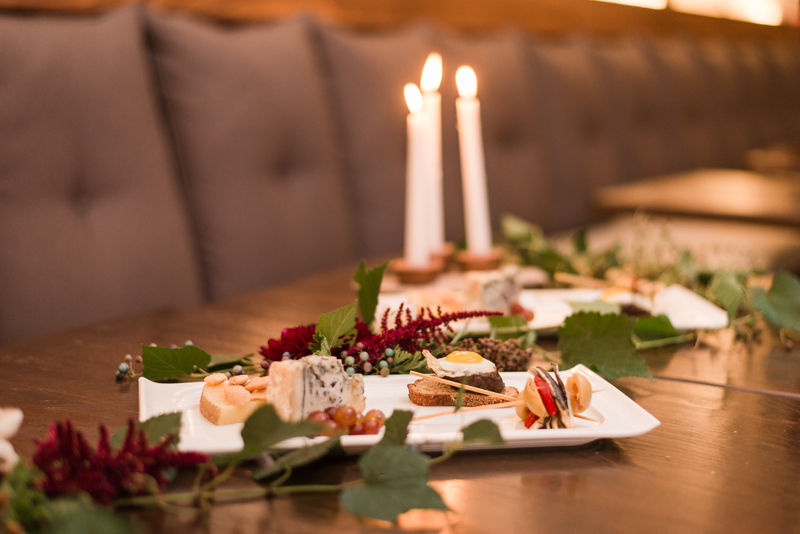 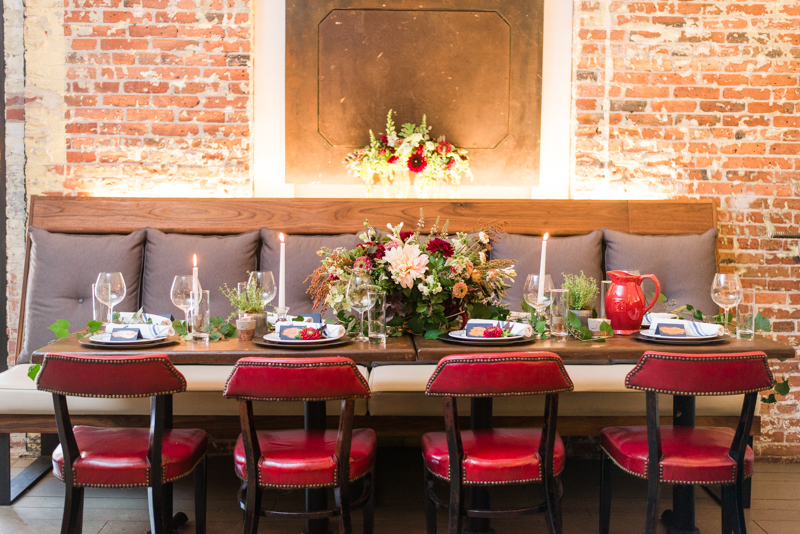 La Cuchara, our spectacular setting, is a charming, Basque inspired restaurant located in Clipper Mill. 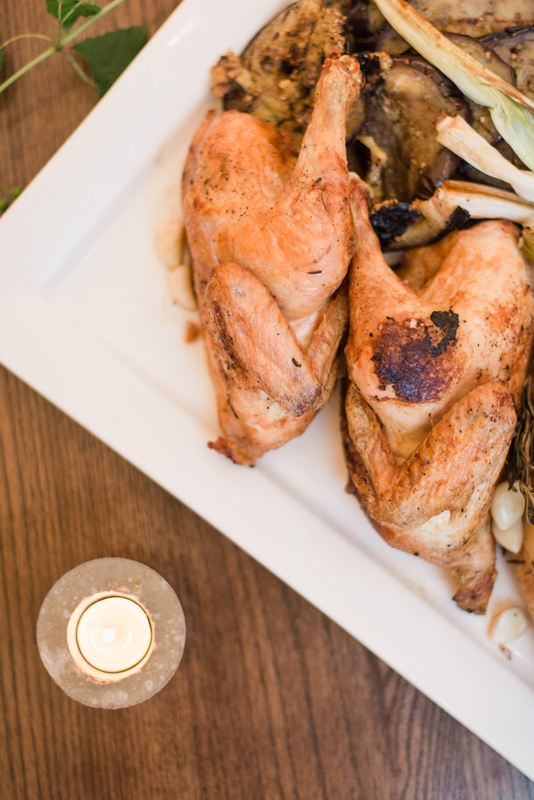 They source all of their ingredients from Maryland farms and markets, giving wonderful business to locals. 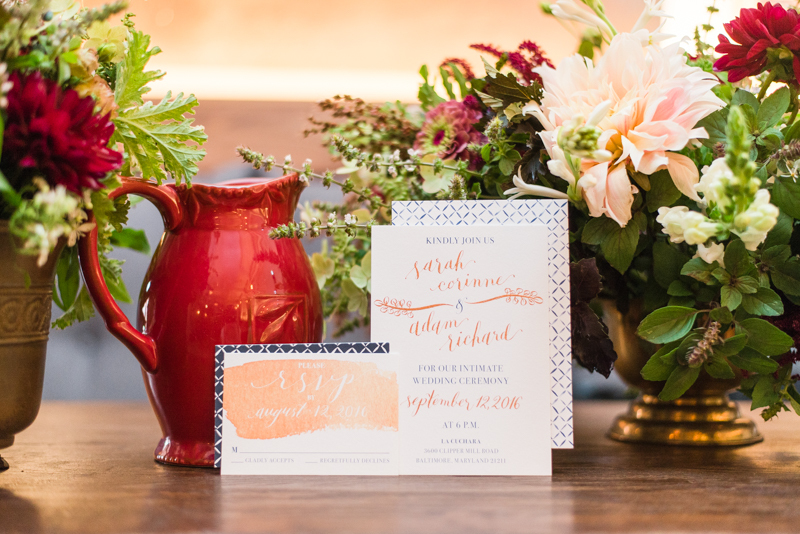 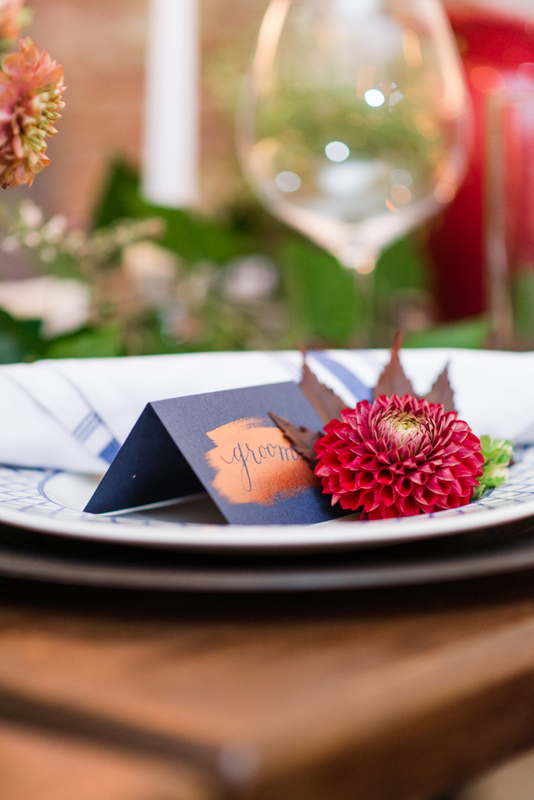 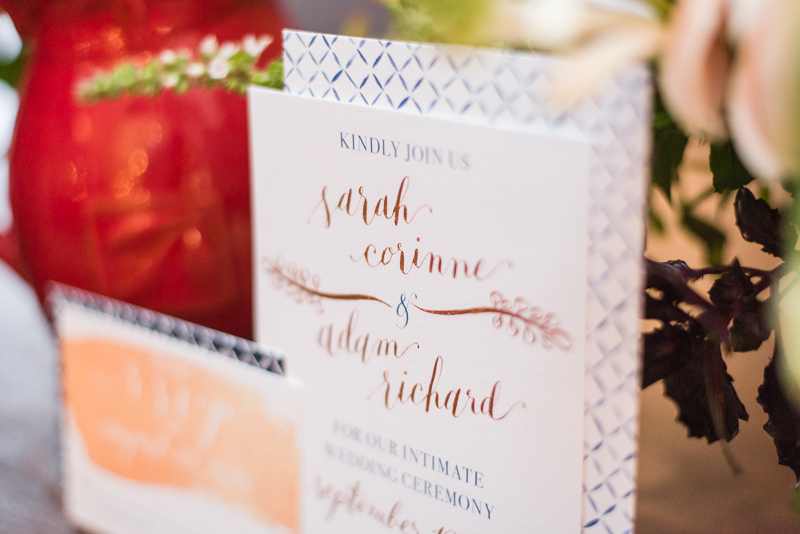 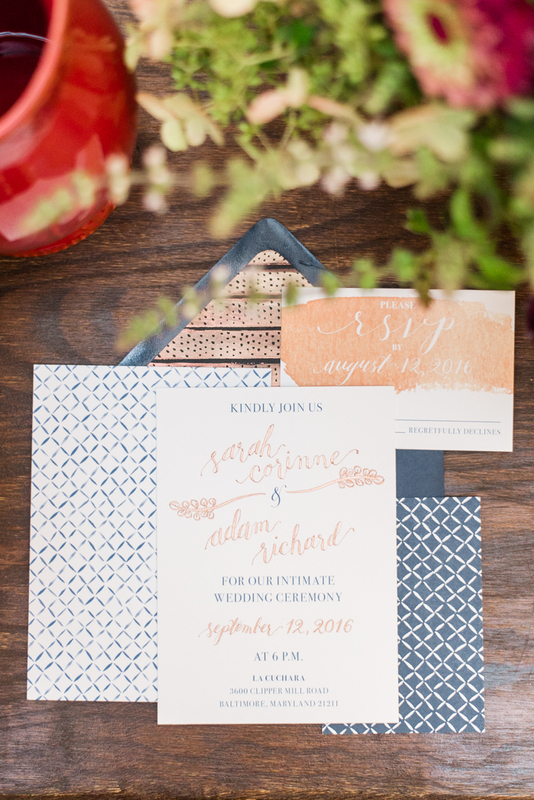 It was a pleasure working with Candace Cage Design who took elements from the restaurants lattice design plates and incorporated them into the invitation suite. 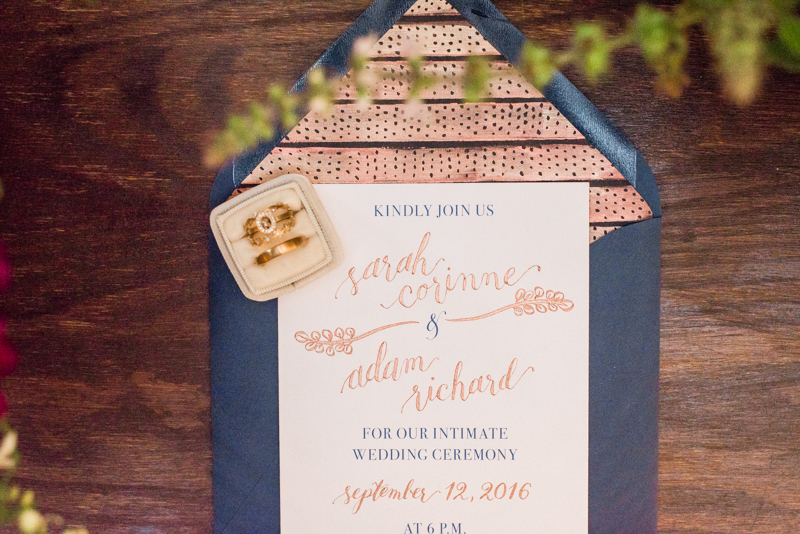 Marlayna and I are still in awe of those invites. 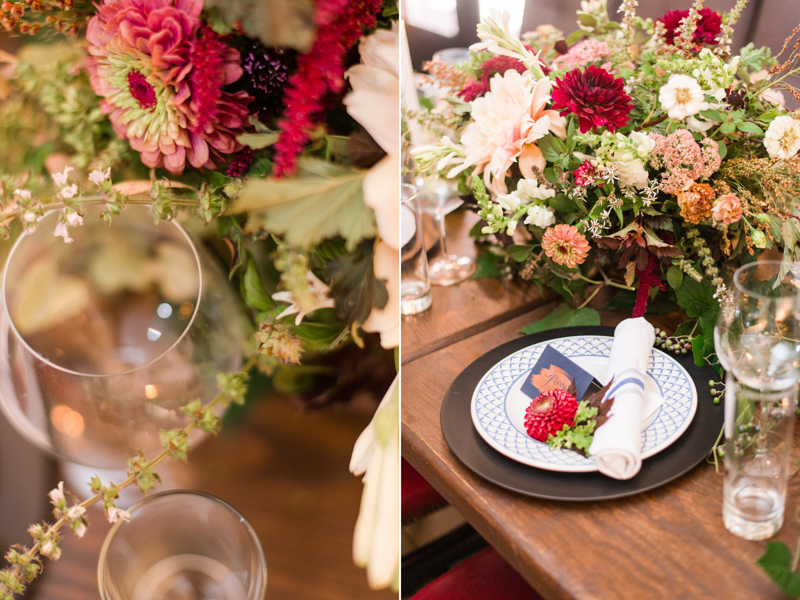 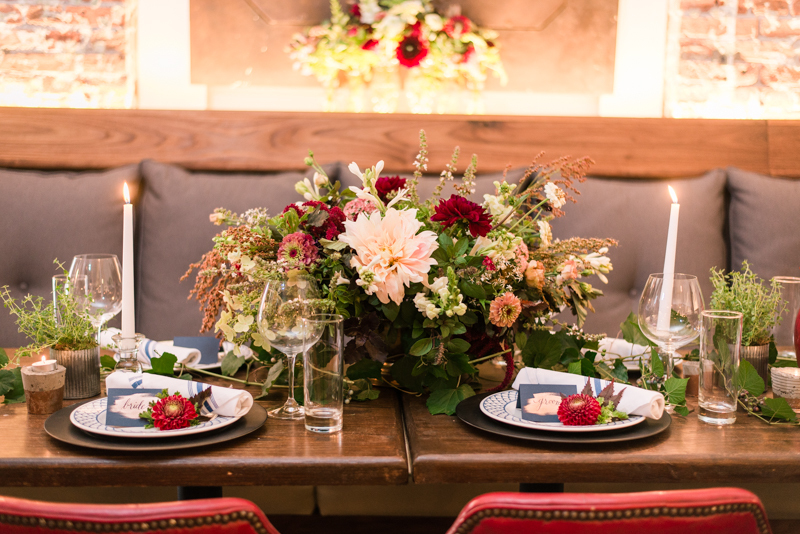 Local Color Flowers brought so many vibrant florals to the tabletops and ceremony space. 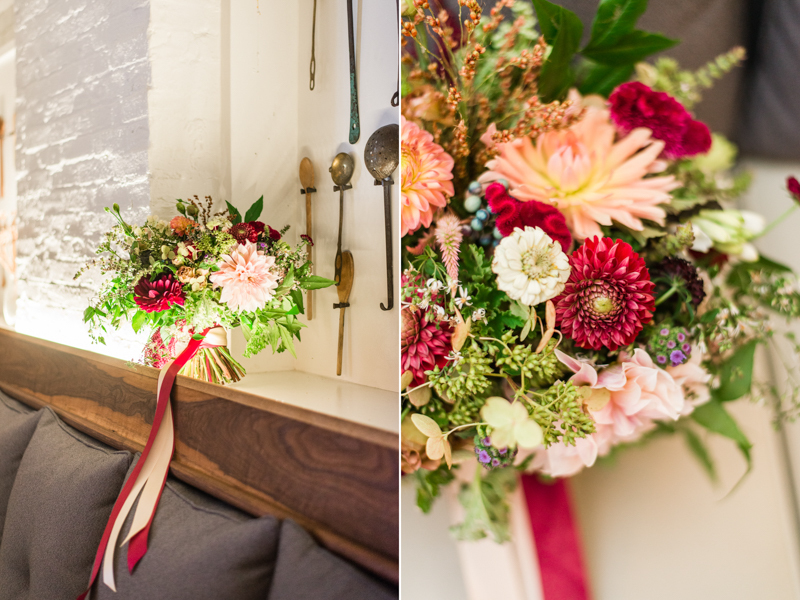 It's absolutely amazing to see a florist work, because they have such wonderful vision and it's almost magic to see them piece it together. 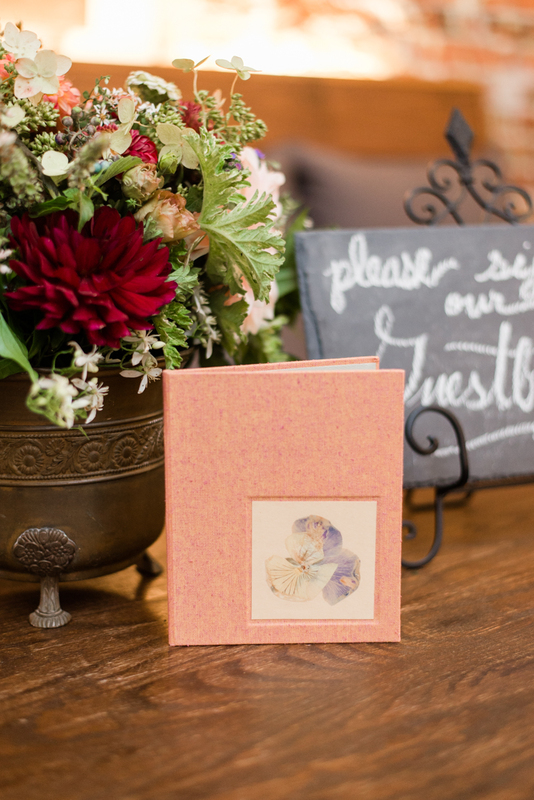 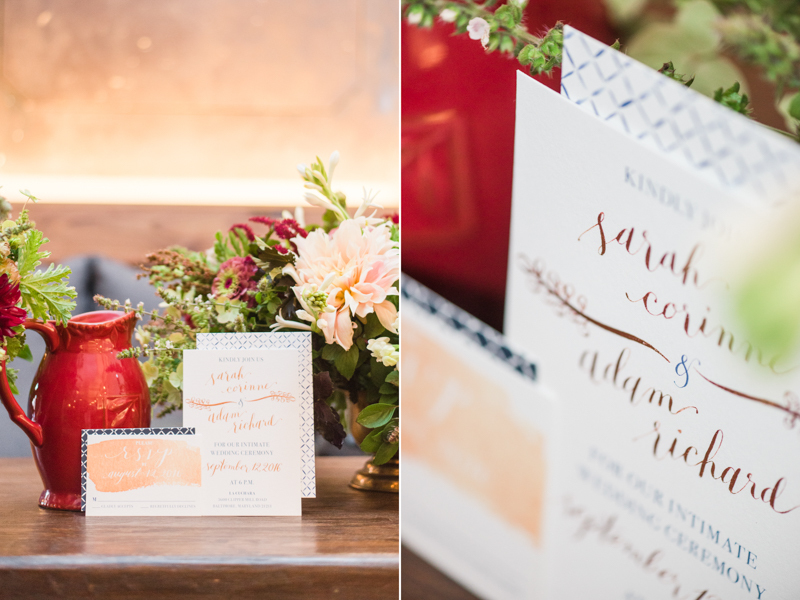 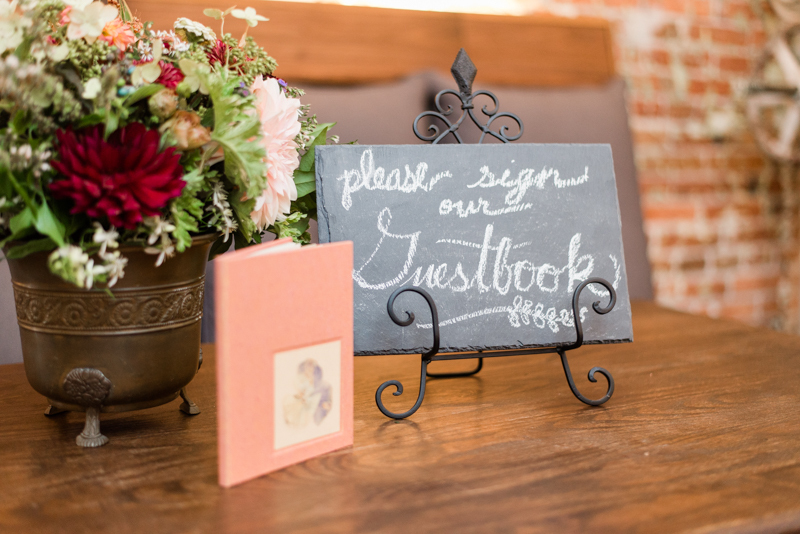 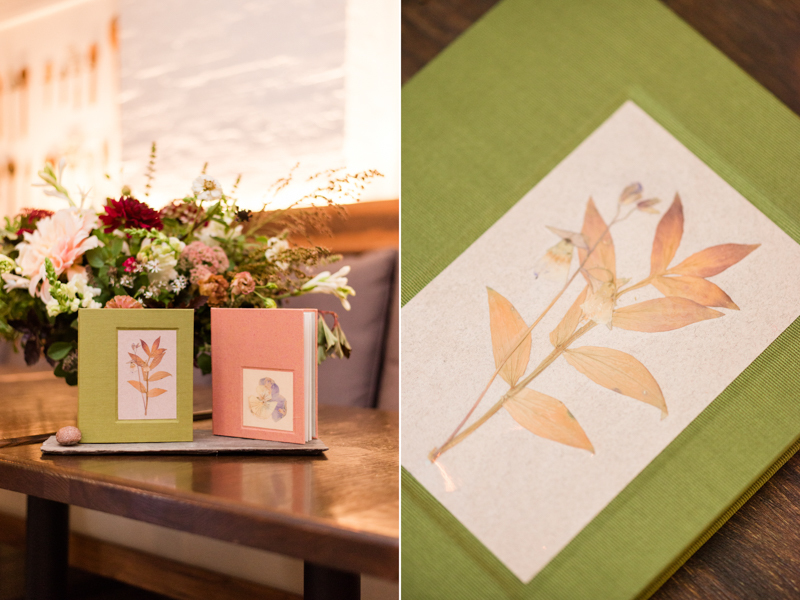 We also got to include two perfectly crafted floral pressed guestbooks from UpDown Press and Bindery, which added a great pop to our reception scene. 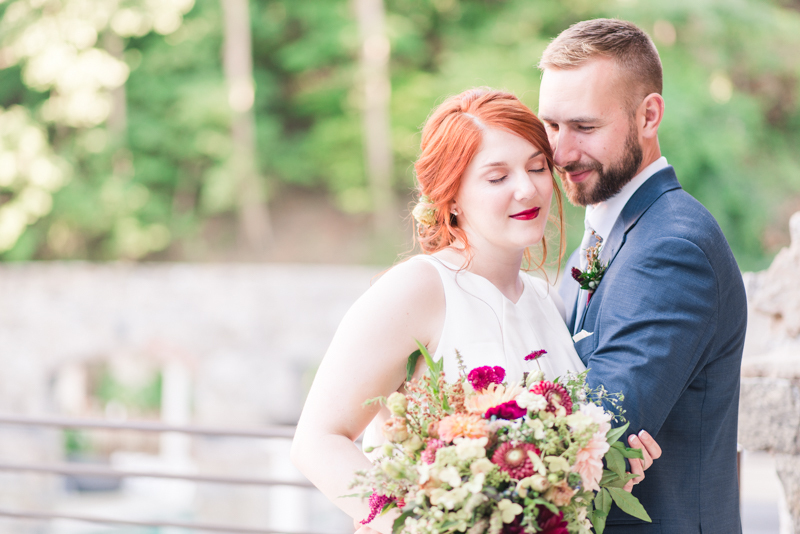 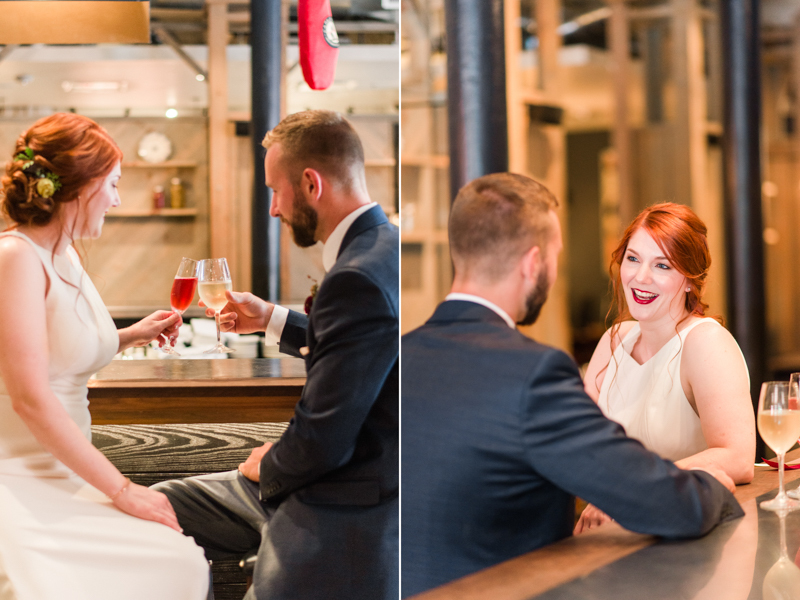 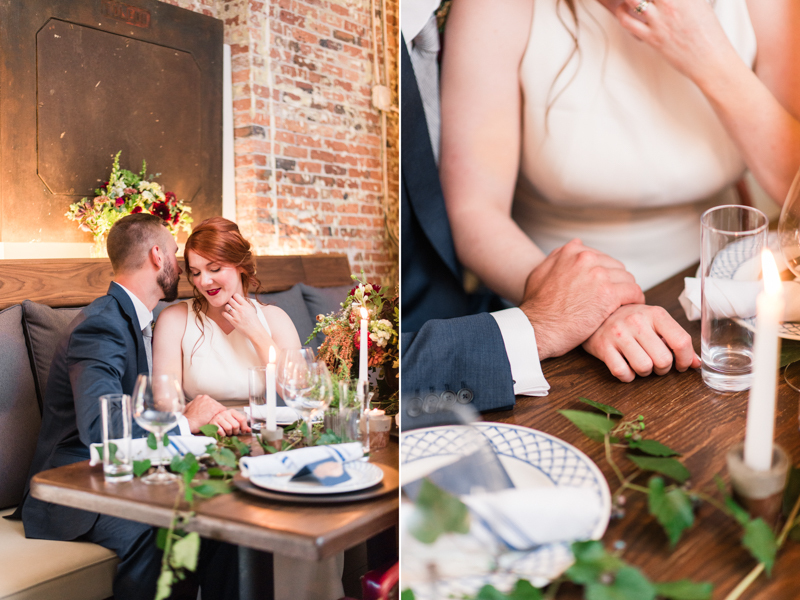 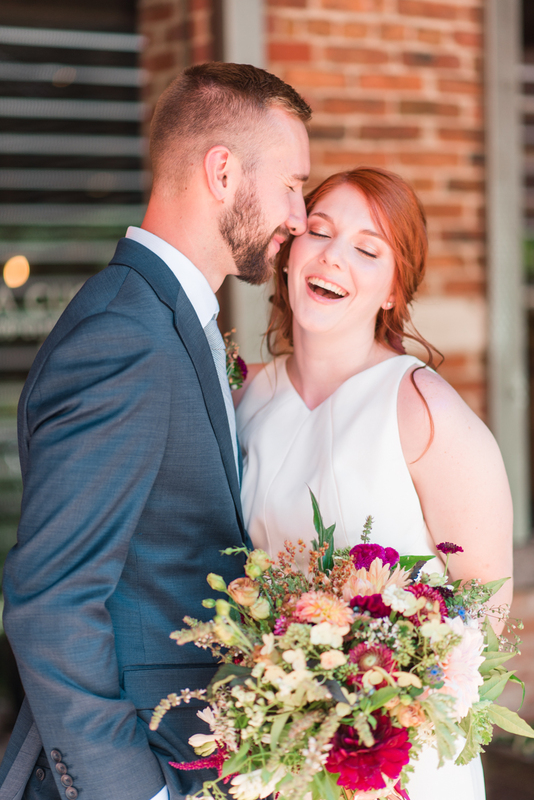 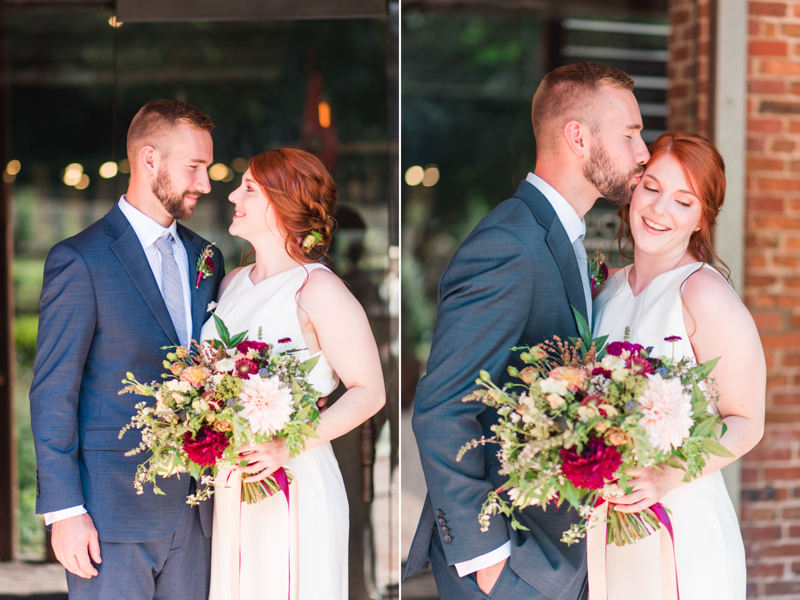 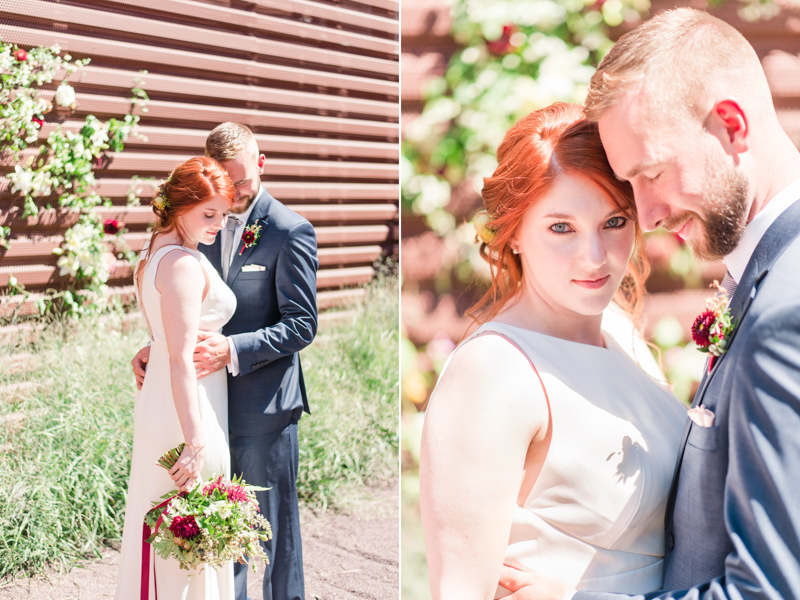 The loveliest part of the day was getting to work with real life couple, Sarah and Adam. 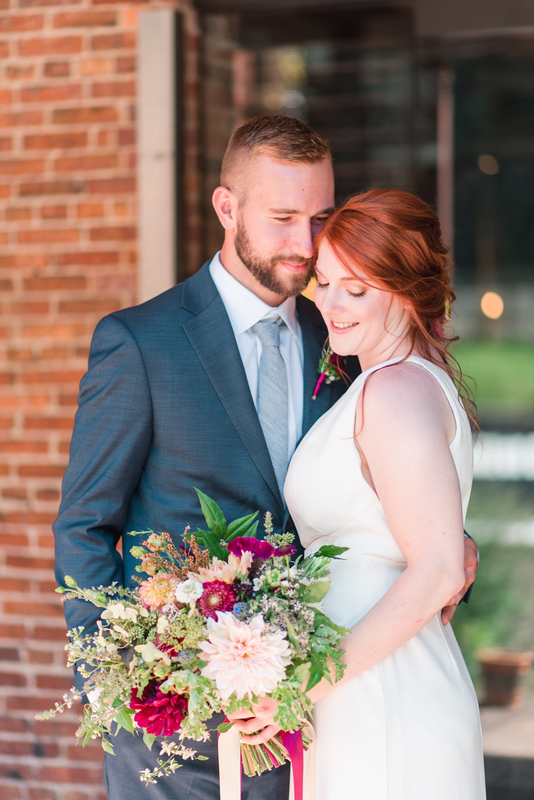 They were such great models, and we cannot thank them enough for all of their awesomeness! 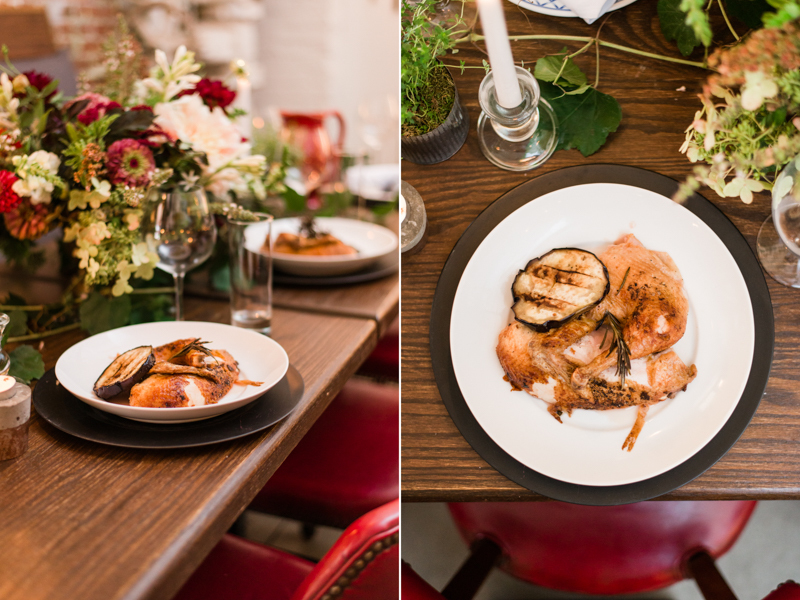 Sarah, who is also sous-chef at La Cuchara, was such a huge part in the success of this shoot. 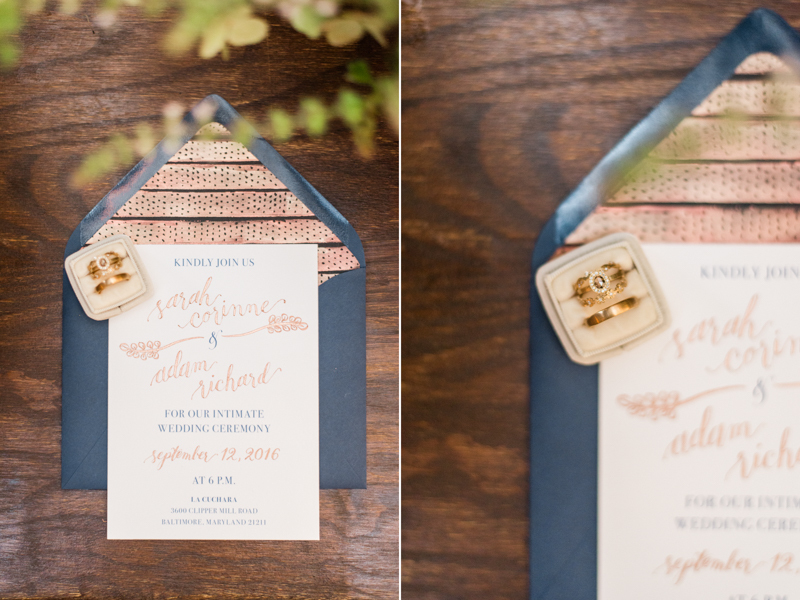 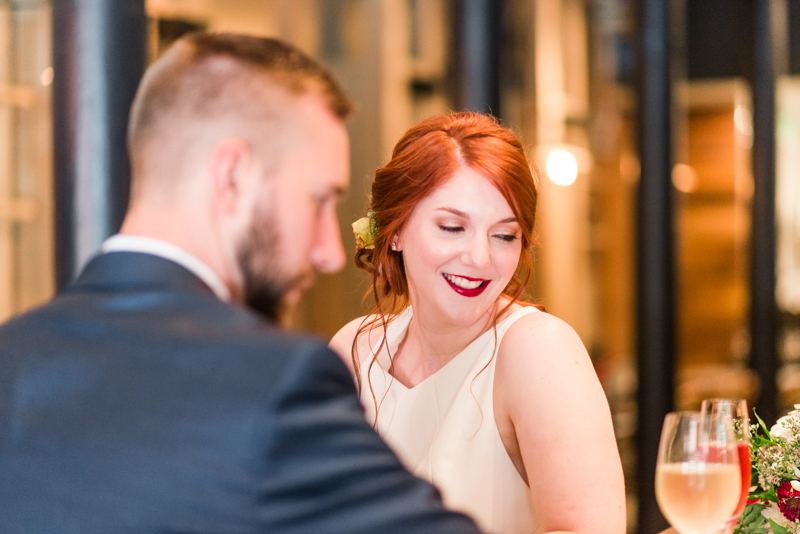 Without her organization skills and help, so many aspects of this styled wedding would not have happened. 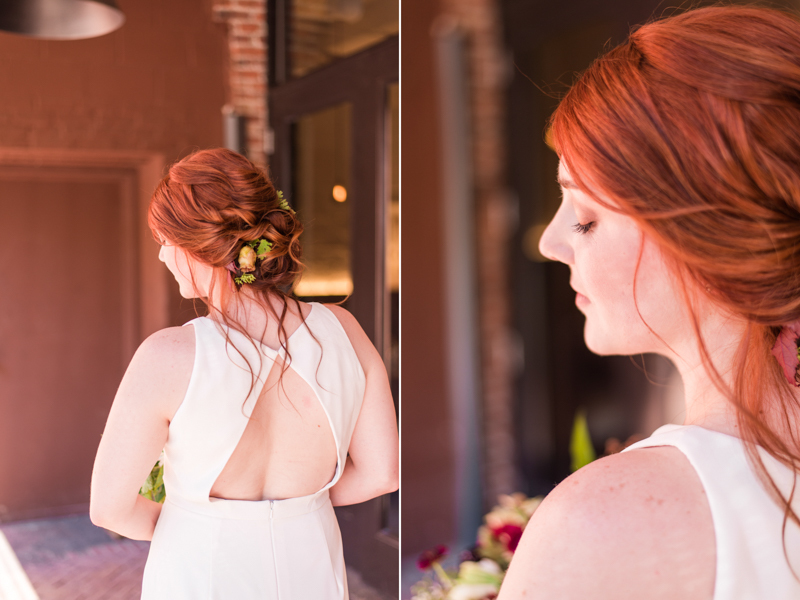 It was so much fun watching Sarah glam up in a dress from Bella Bridesmaids and be pampered by Caitlyn Meyer. 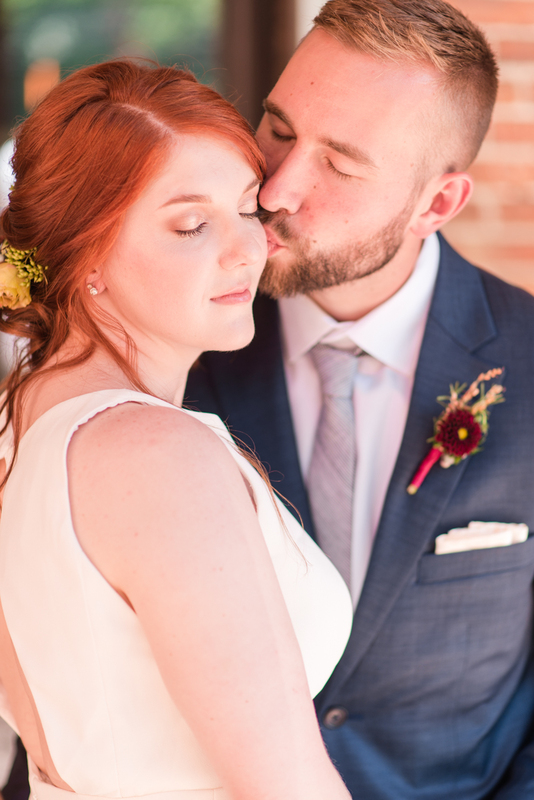 Speaking of which, Caitlyn is absolutely amazing. 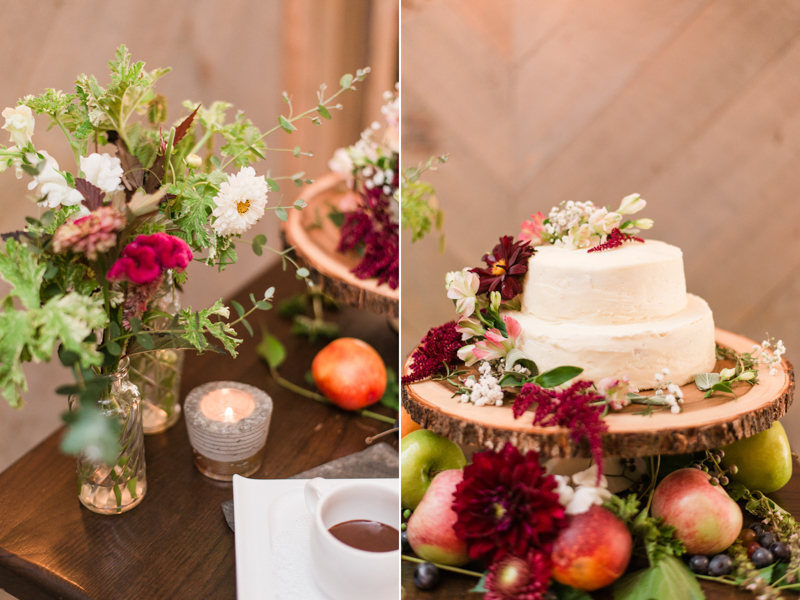 staying the entire shoot doing touch ups and also lent a hand in the styling of the dessert table! 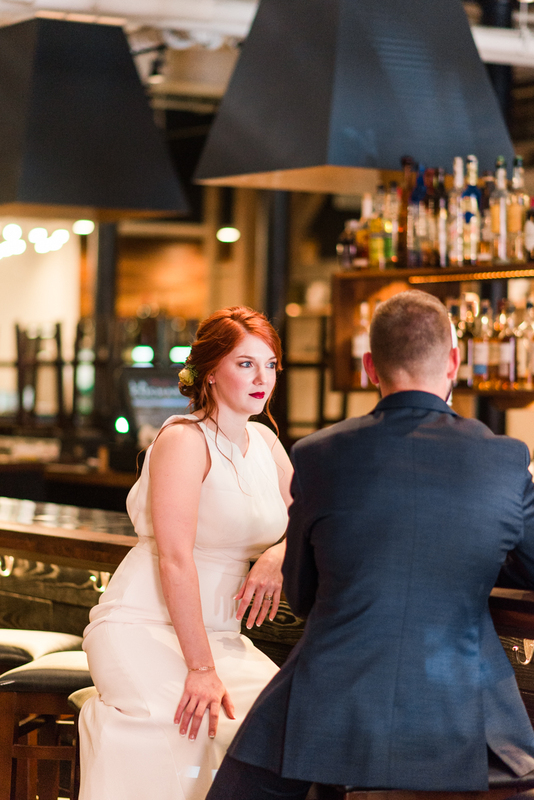 We owe a lot of thanks to everyone that participated in this shoot with us. 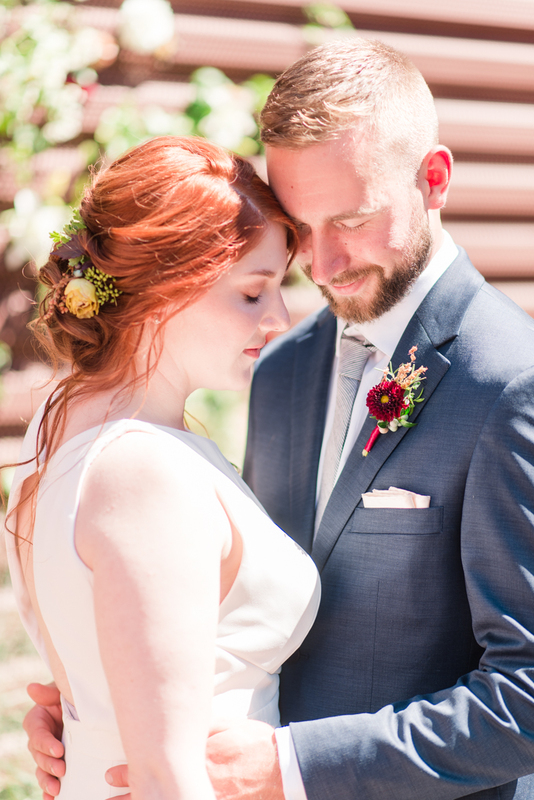 Everyone's talents and extraordinary artistry really made this one of the best sessions possible. 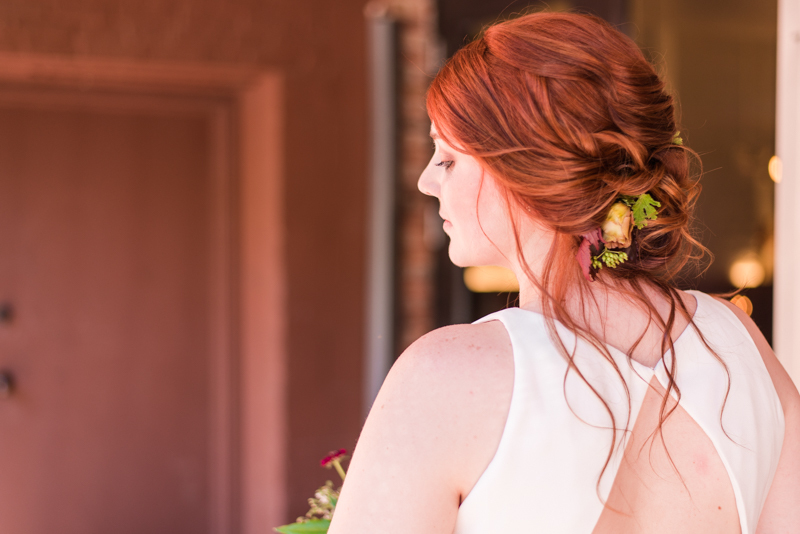 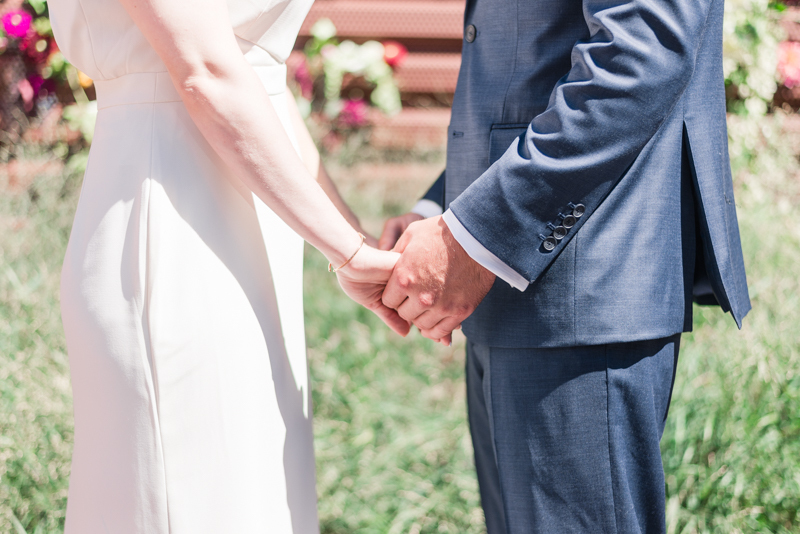 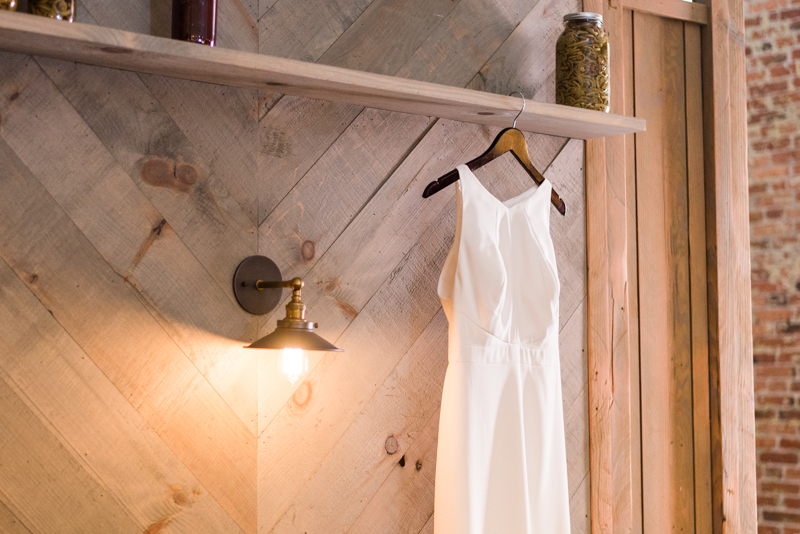 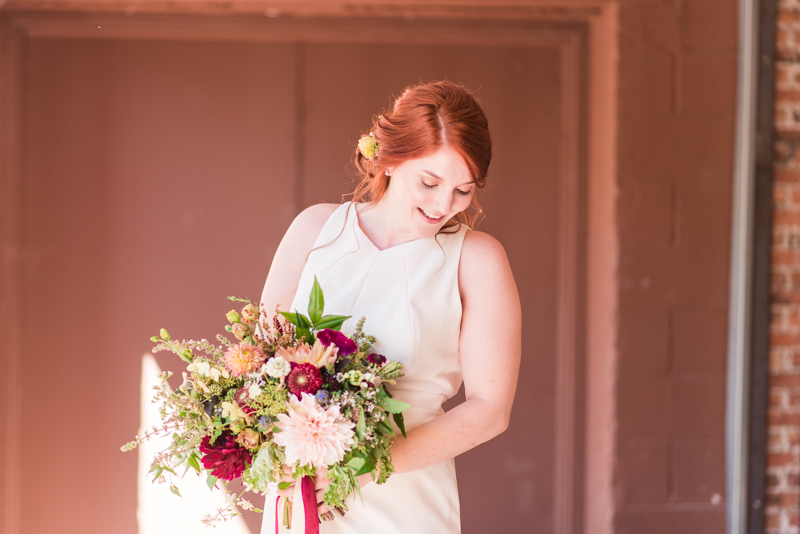 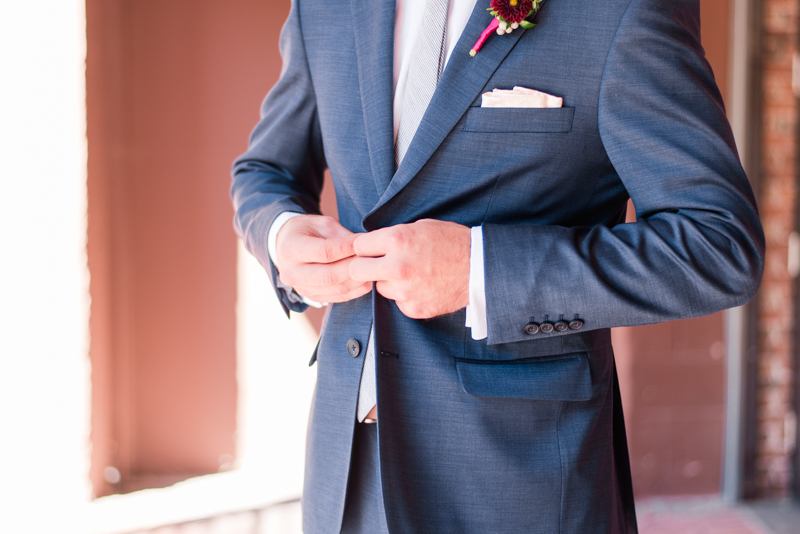 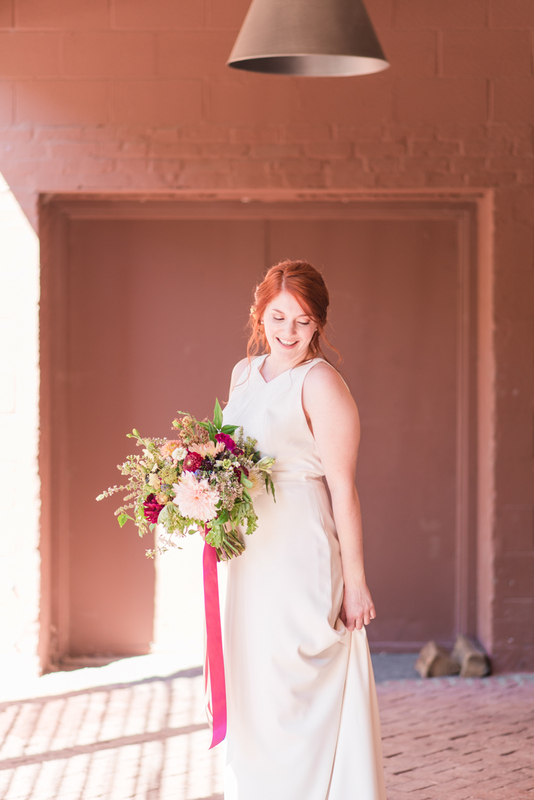 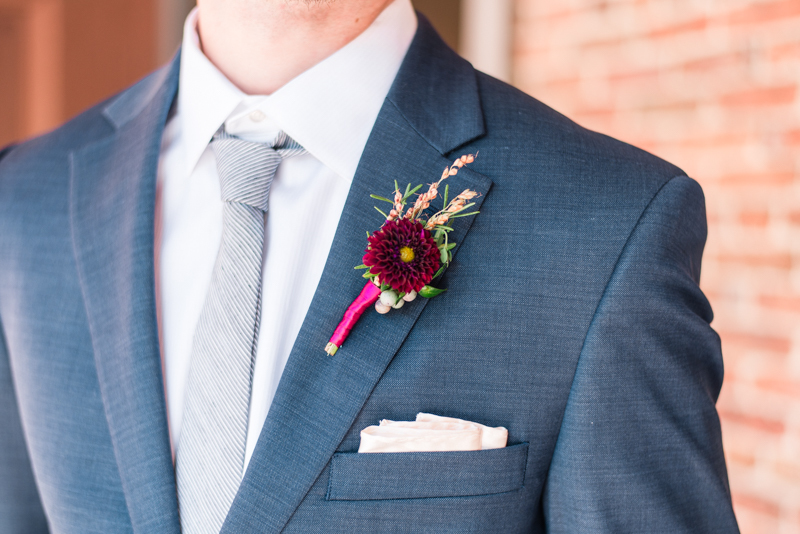 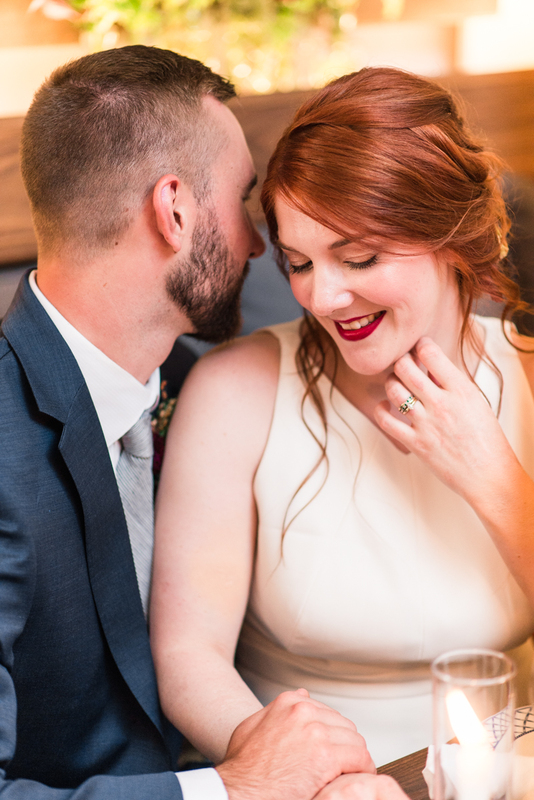 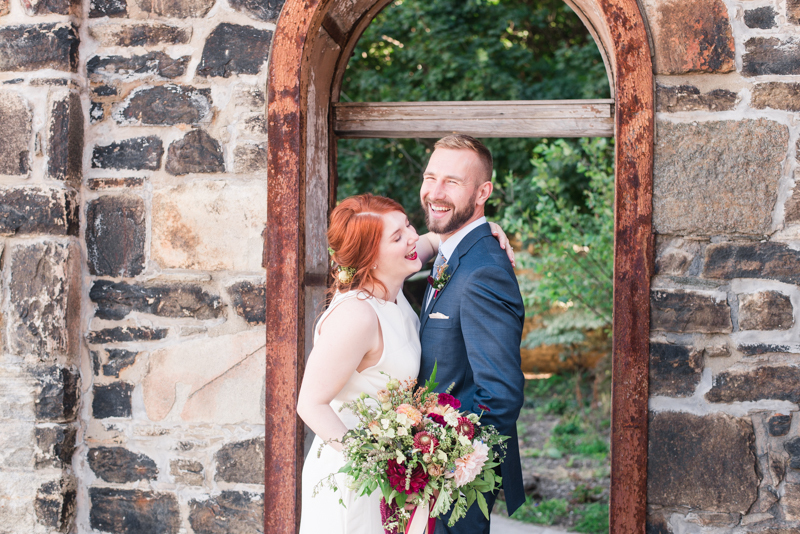 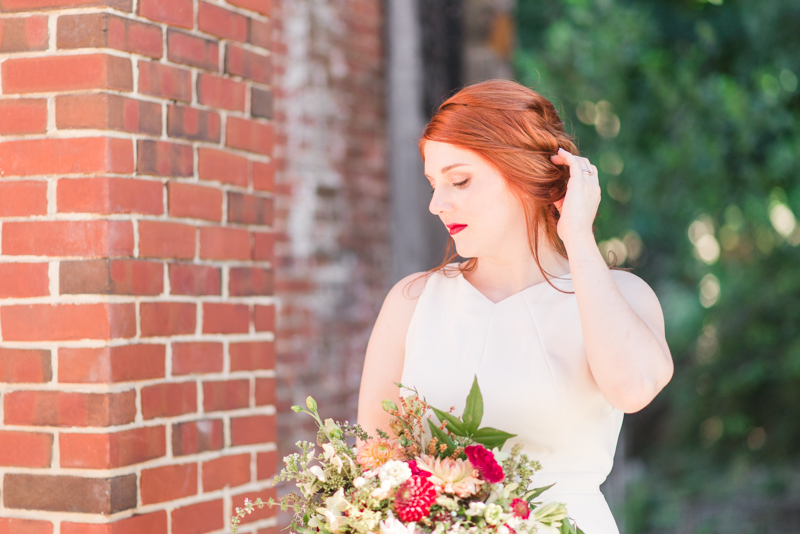 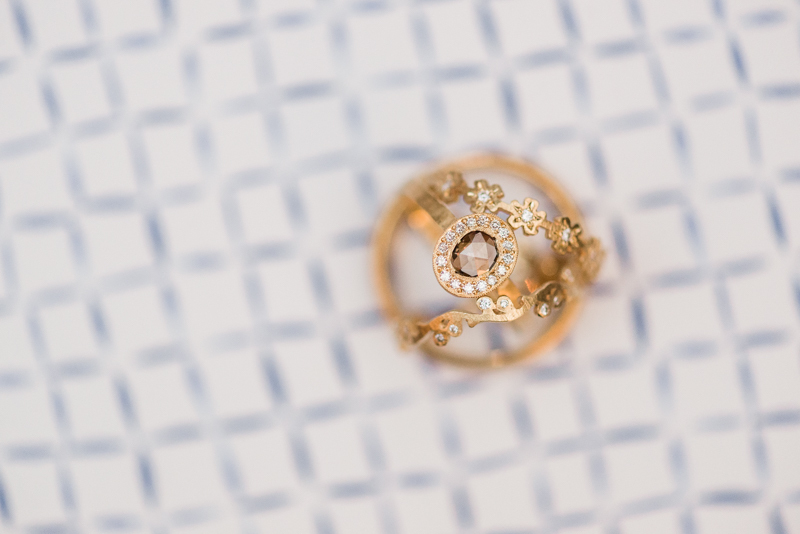 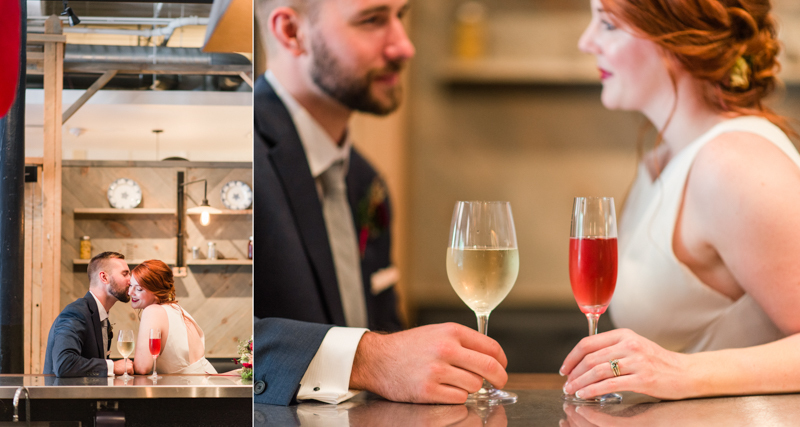 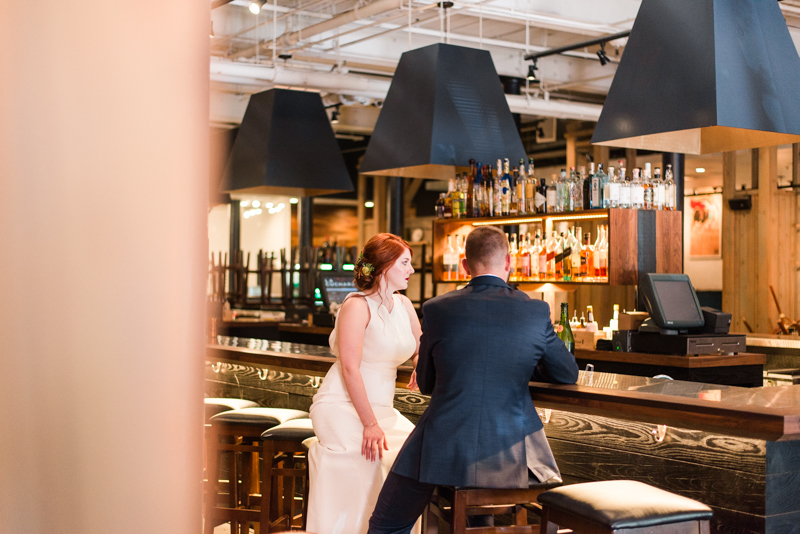 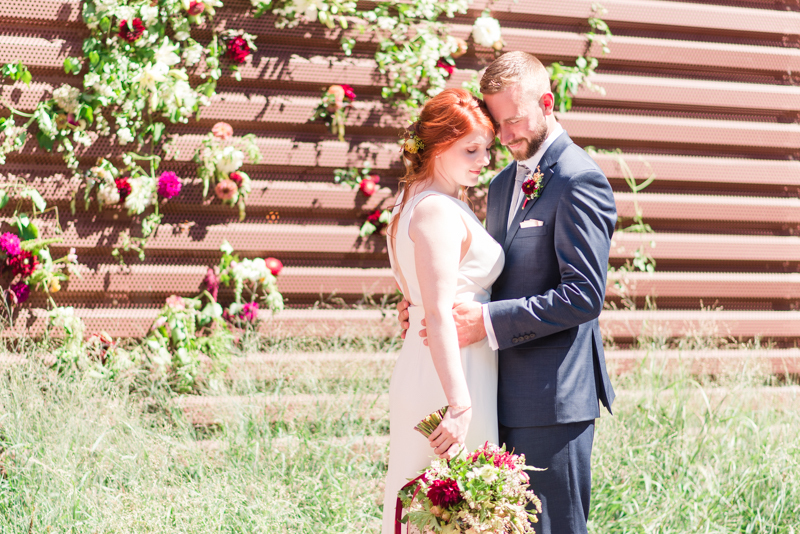 Take a peek at the photos from our Locally Grown styled shoot!